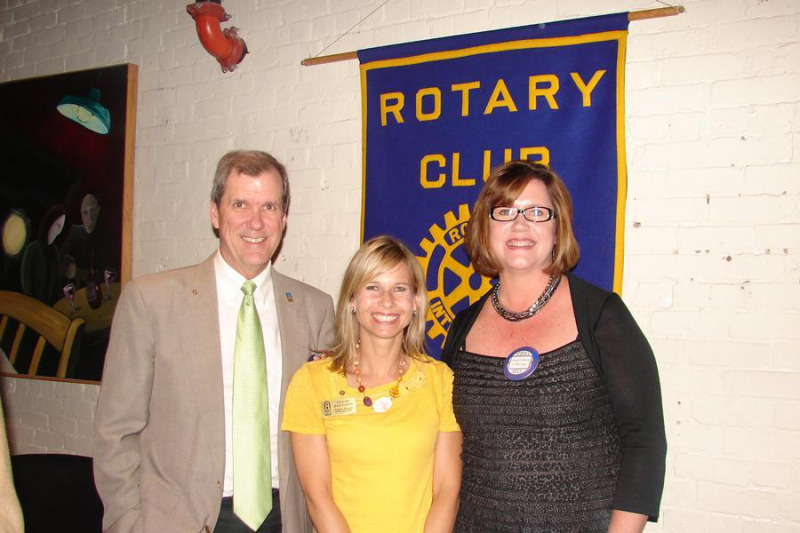 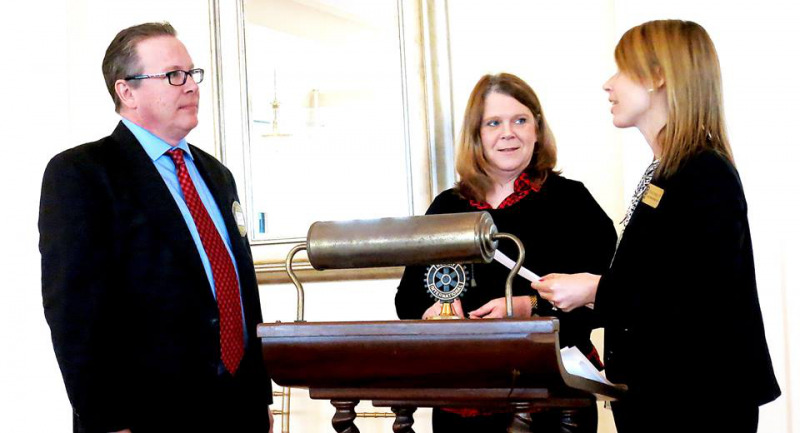 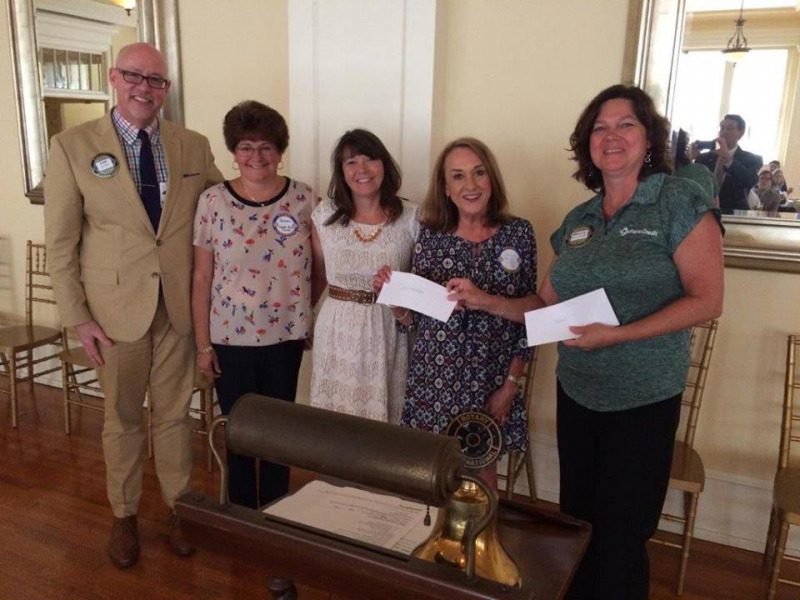 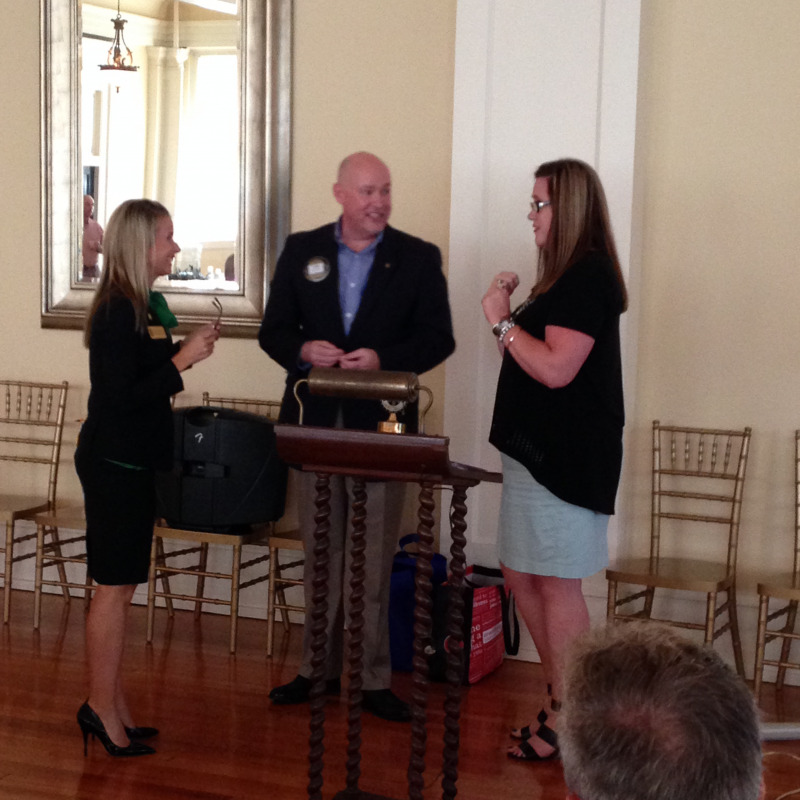 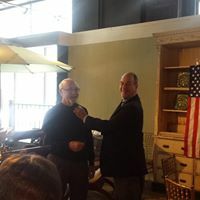 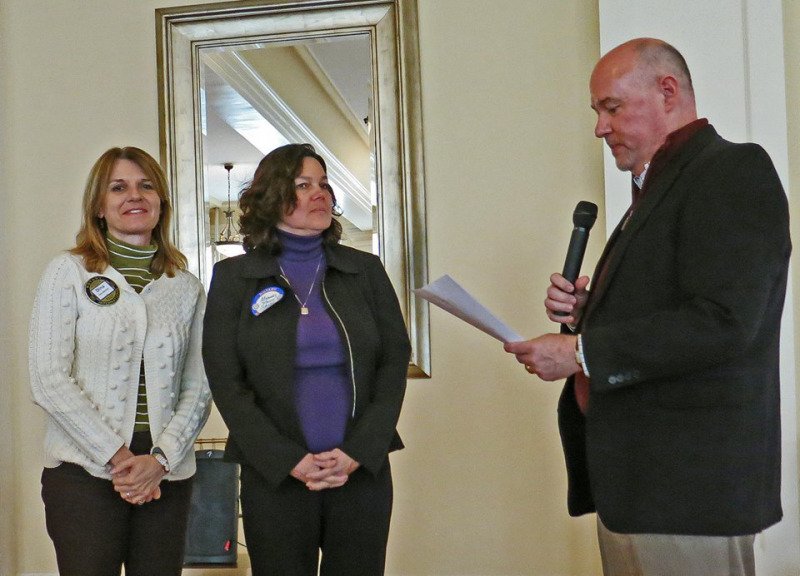 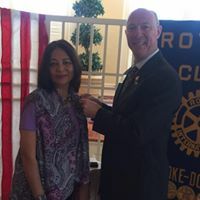 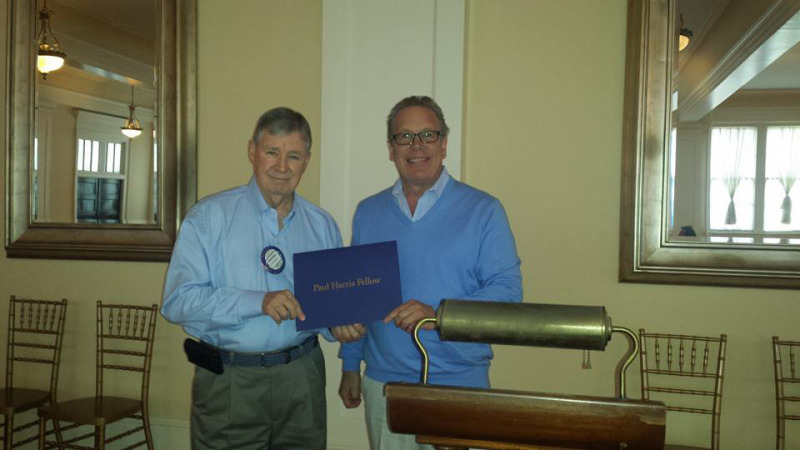 Gaining new members to help our club and Rotary carry out its mission is important to having a vibrant club. 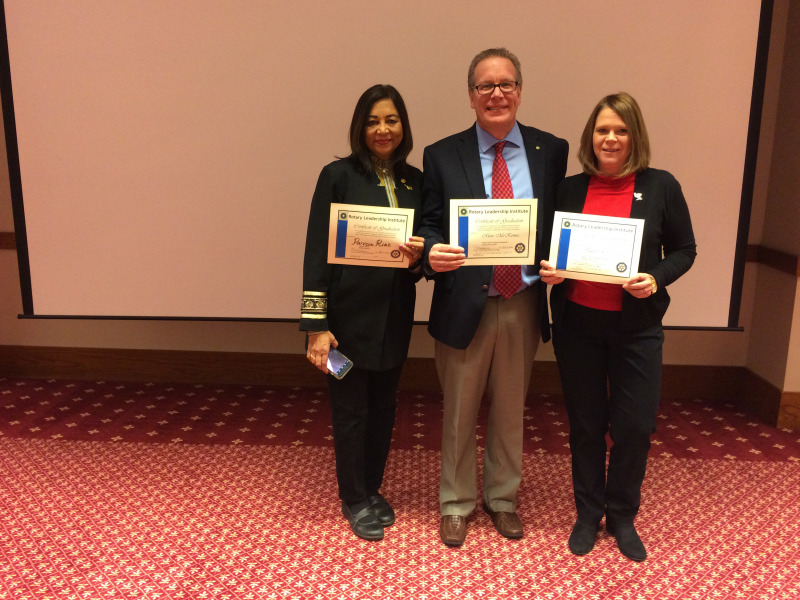 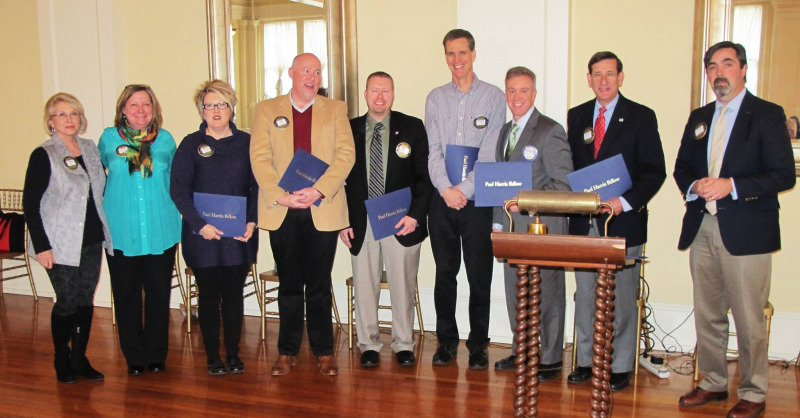 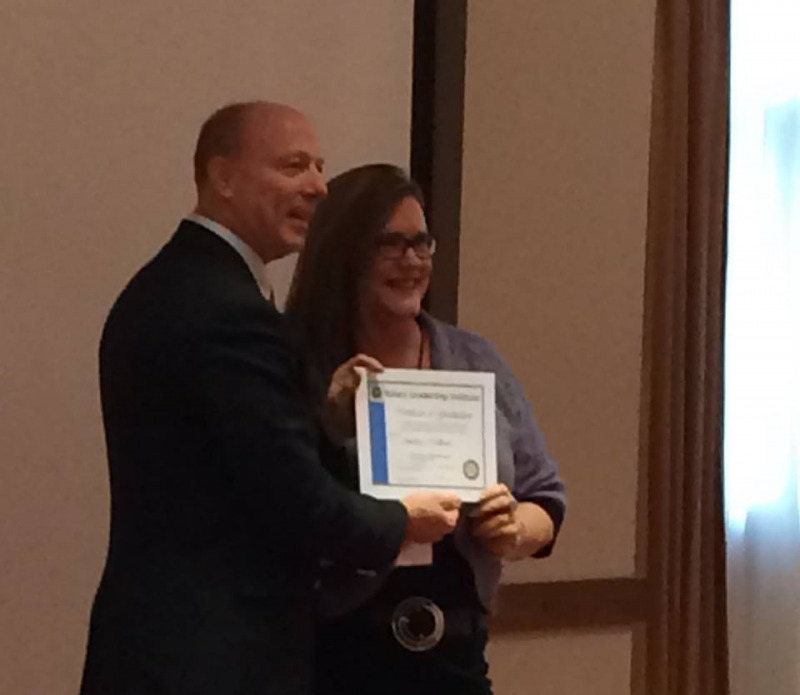 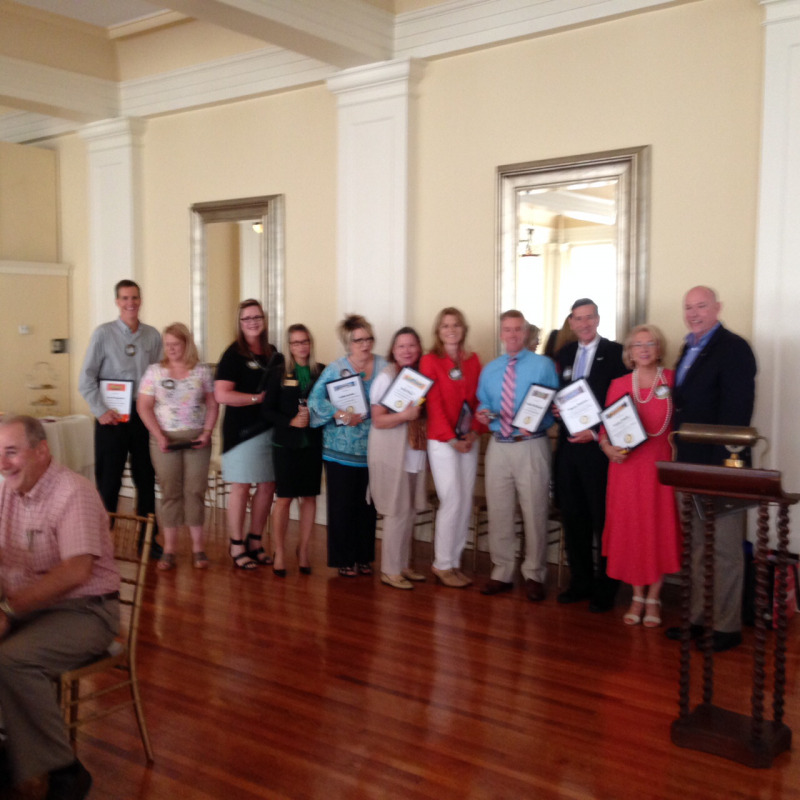 Here is a look at some of our inductions and members receiving recognition. 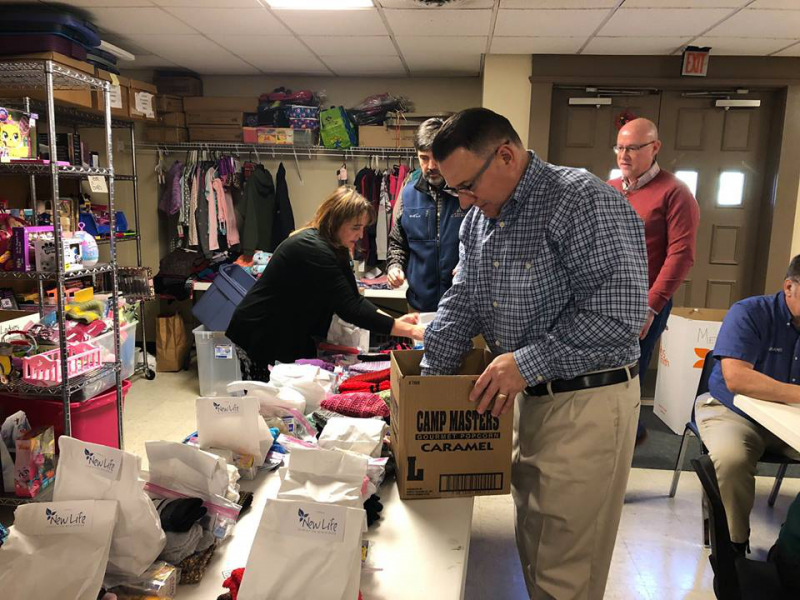 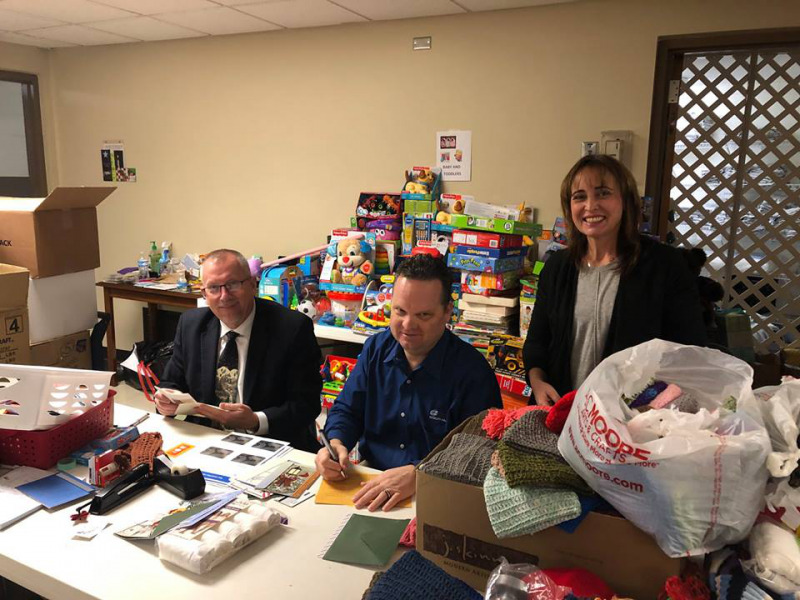 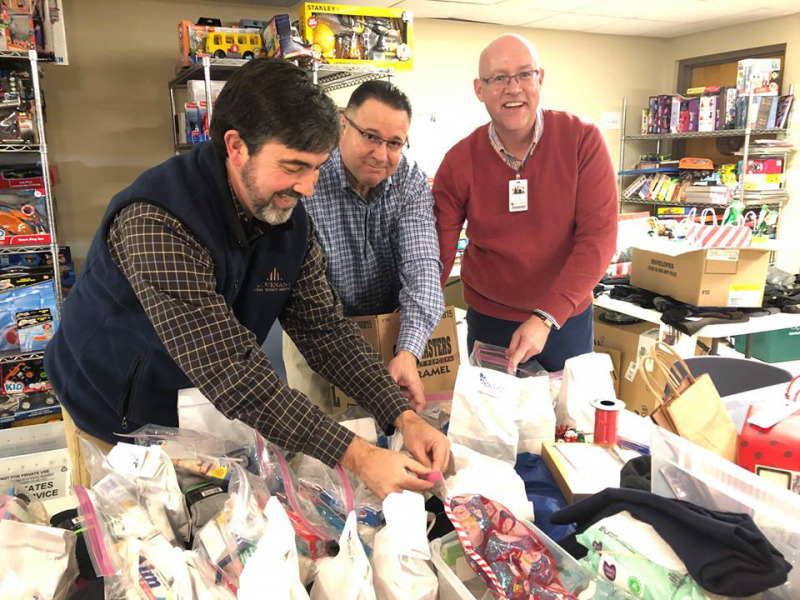 Rotarians gathered at the Rescue Mission on December 18, 2018 to serve in the Christmas Shop sorting supplies and gifts for families and individuals that would be spending Christmas at the shelter. 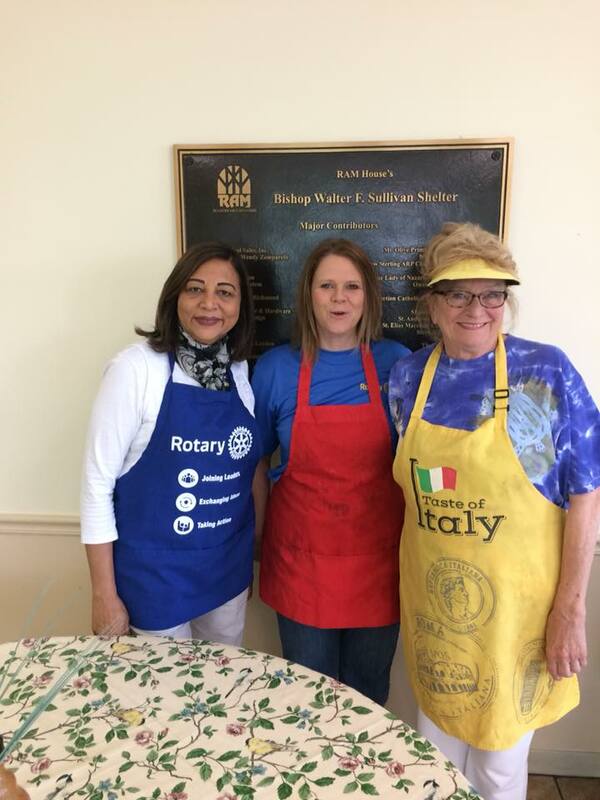 Rotarians also brought coworkers to serve as well. 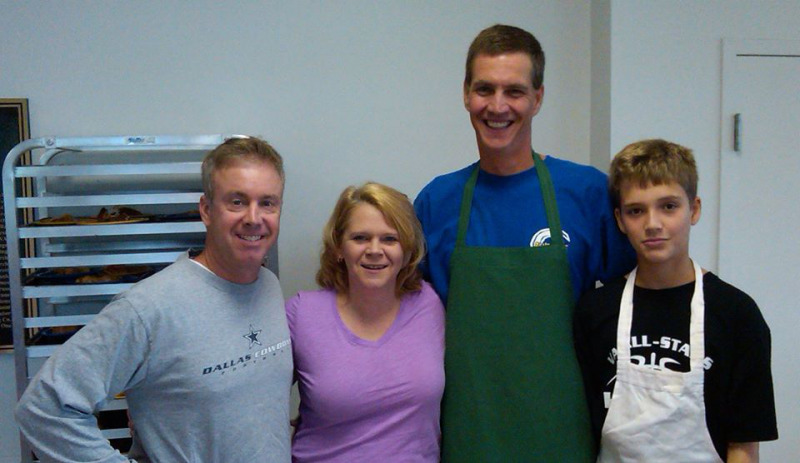 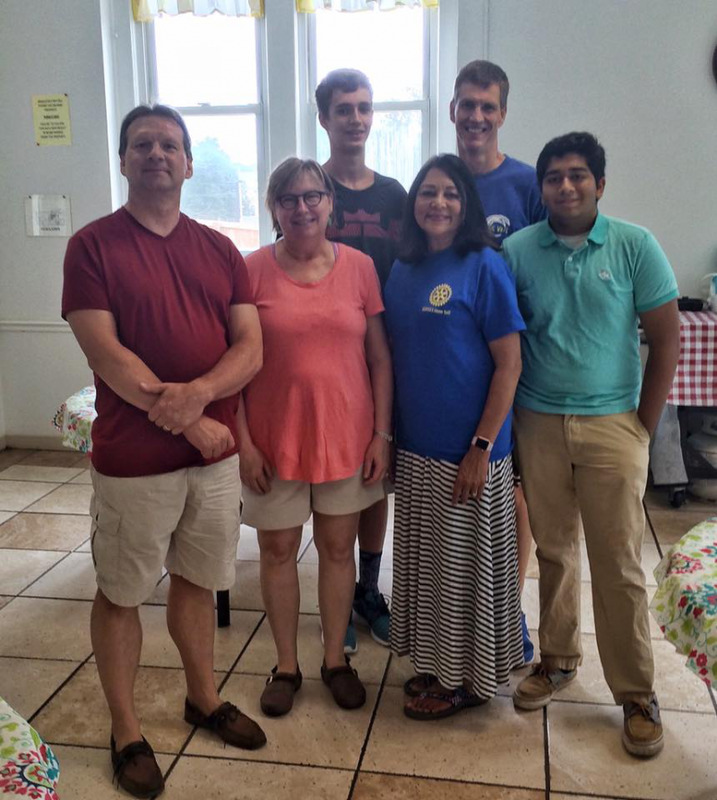 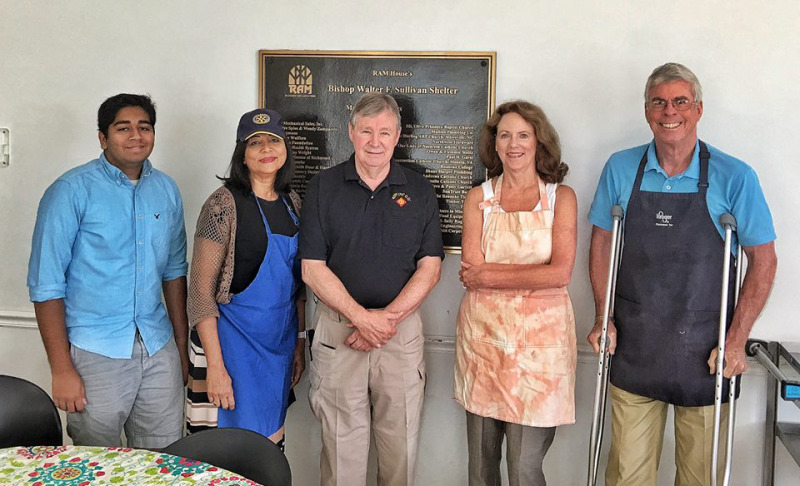 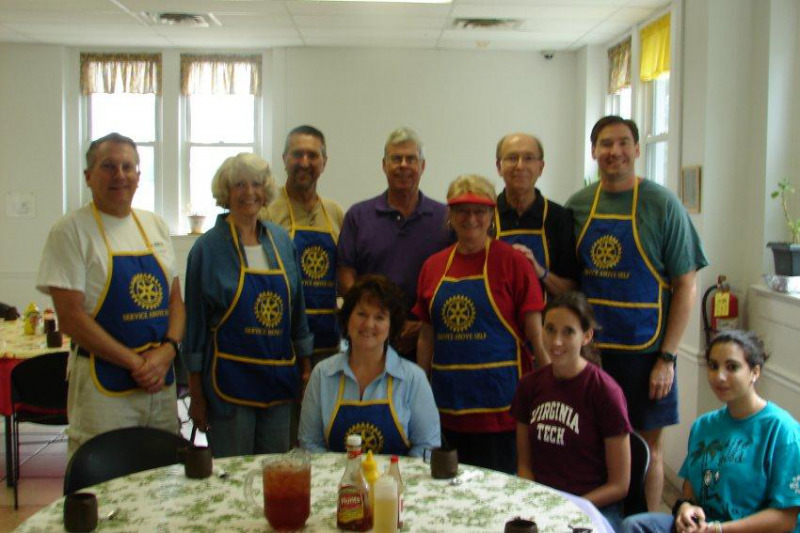 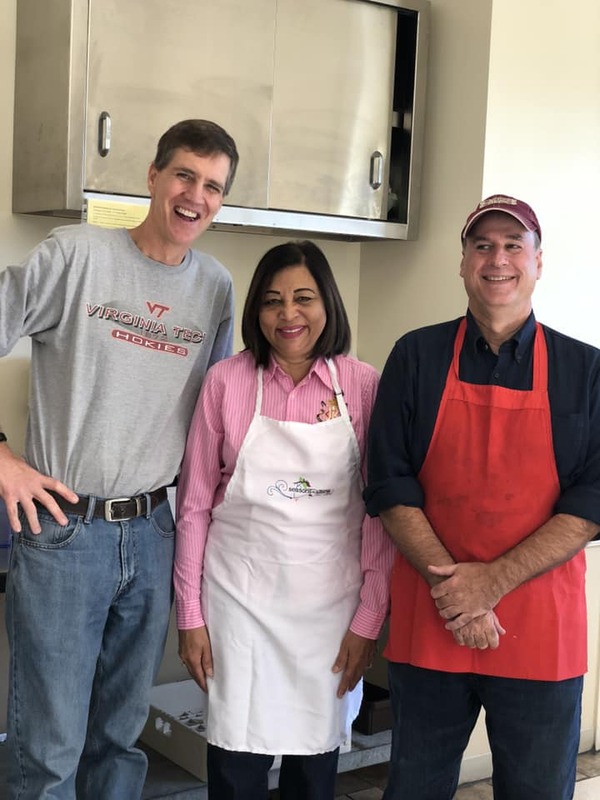 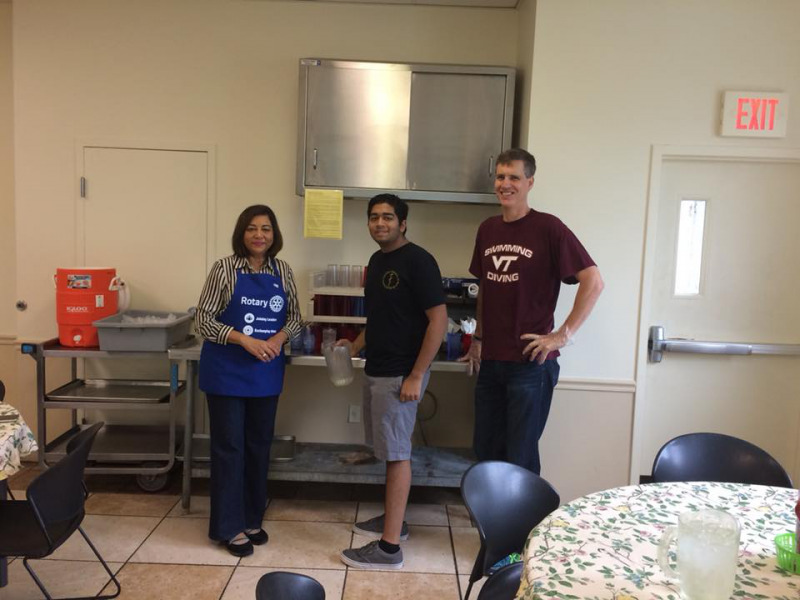 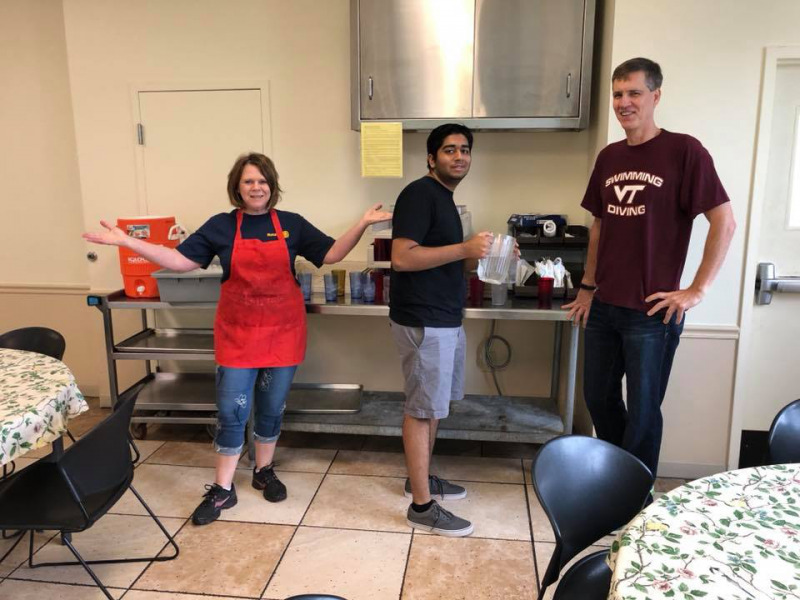 Since the summer of 2011, our club members have been volunteering at the Roanoke Area Ministries' (RAM) dining room . 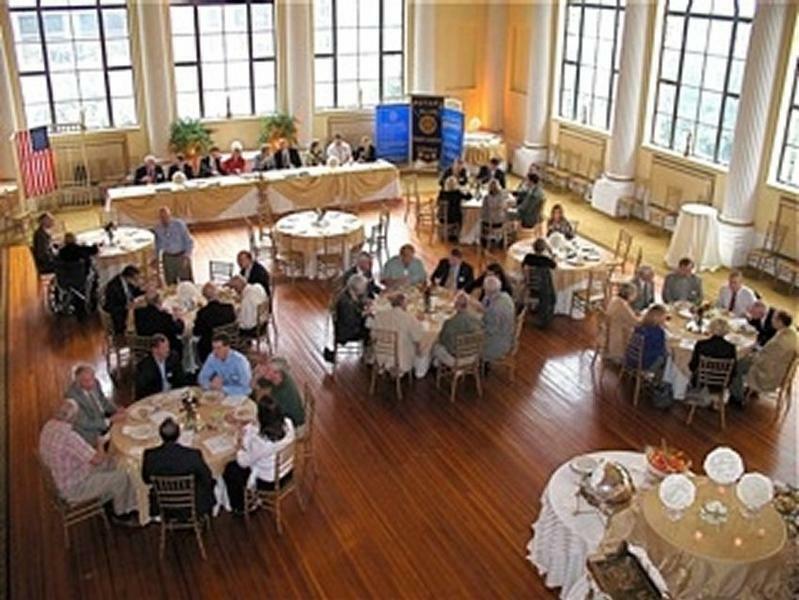 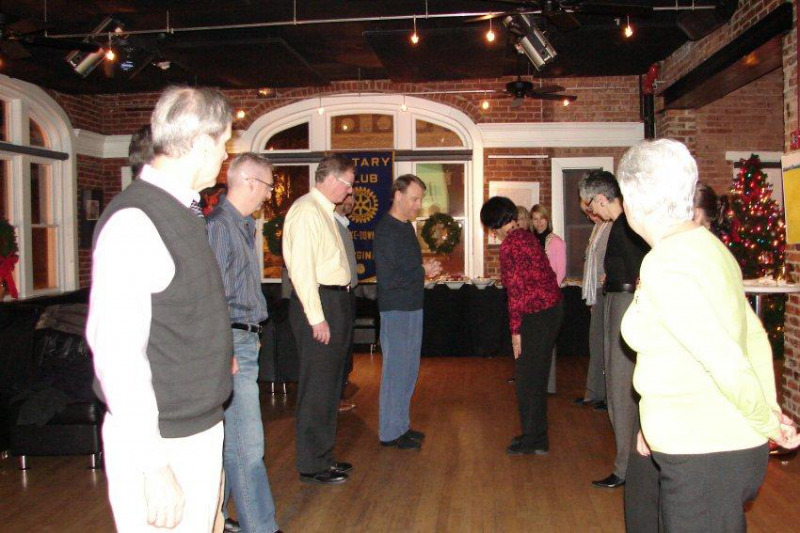 On the third Sunday of every month, we have a rotating schedule that staffs the RAM dining room with Rotarians. 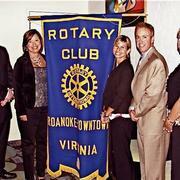 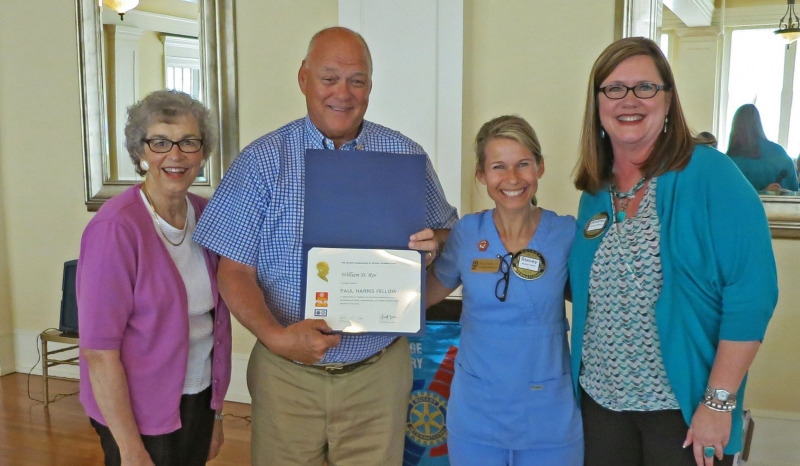 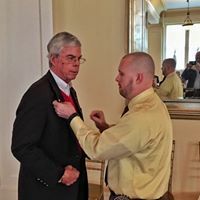 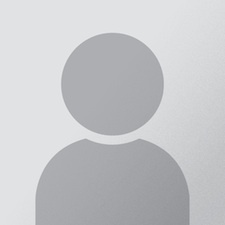 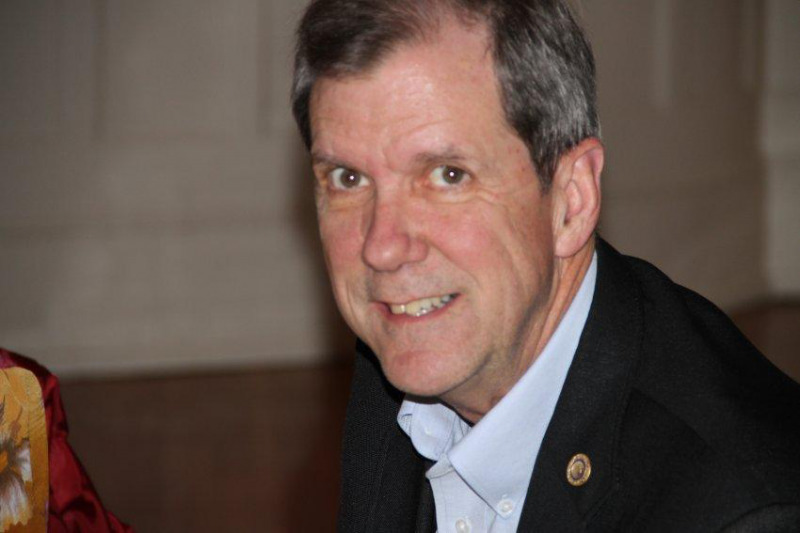 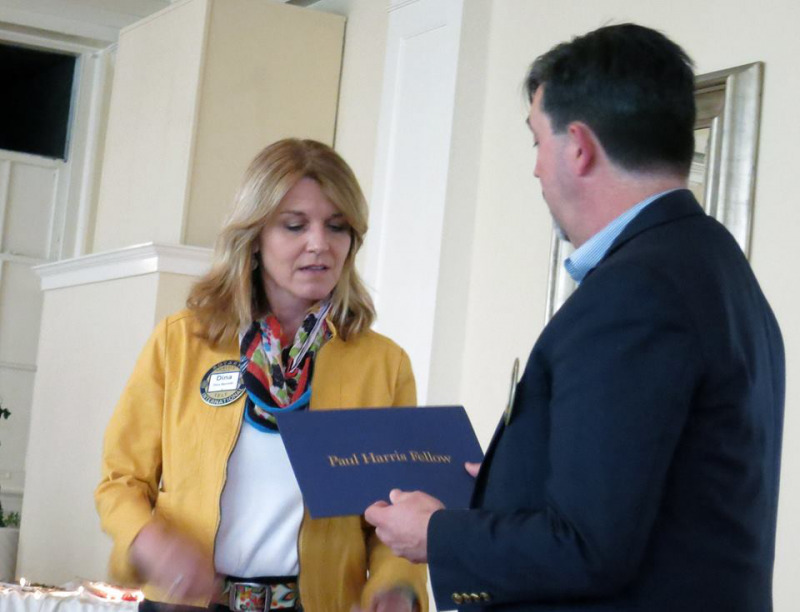 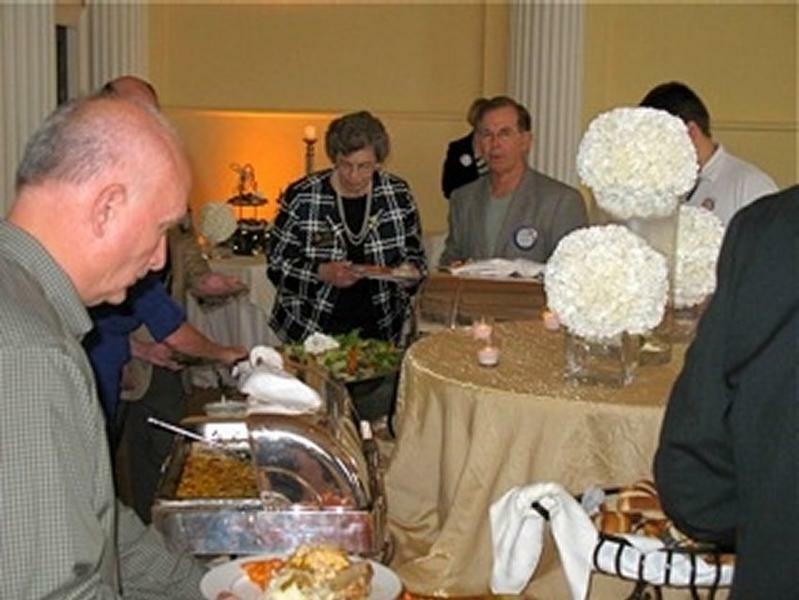 Many Rotarians invite their spouse, child, or friends to assist. 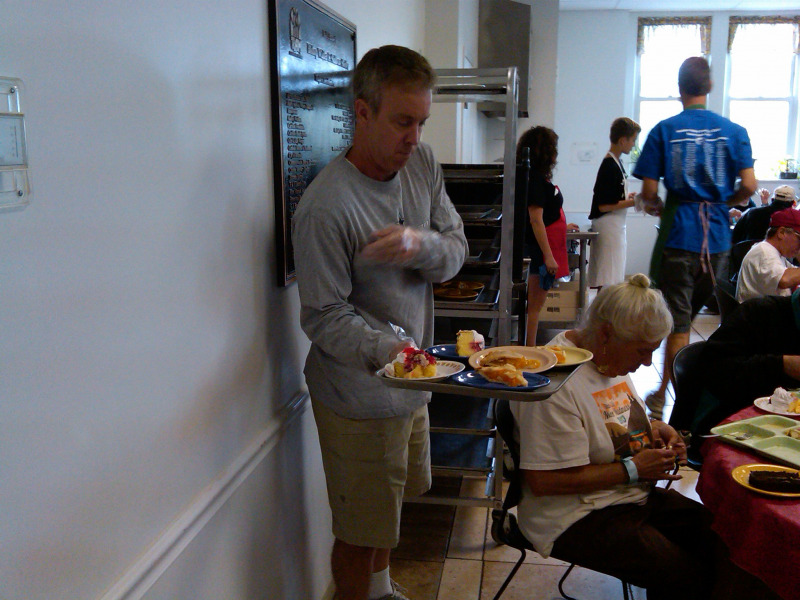 The RAM dining room serves up to 125 lunches daily. 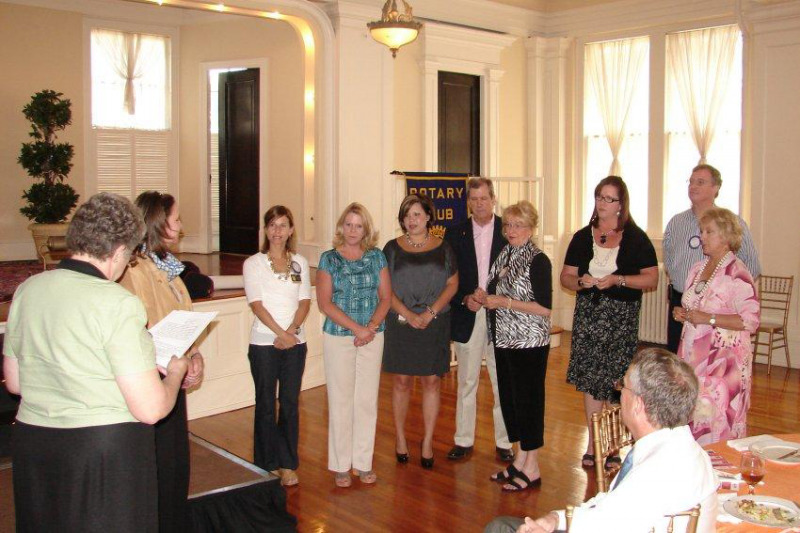 This is a very rewarding experience that we greatly enjoy! 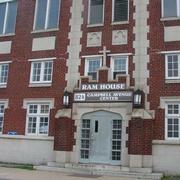 To learn more about RAM, visit their website at www.roanokeareaministries.org/. 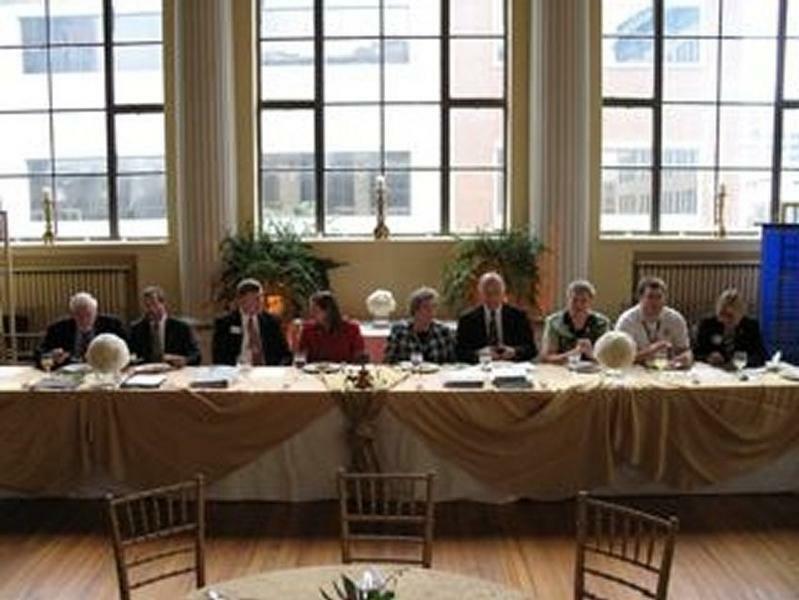 Our signature fundraiser held March 31, 2017 at the Taubam. 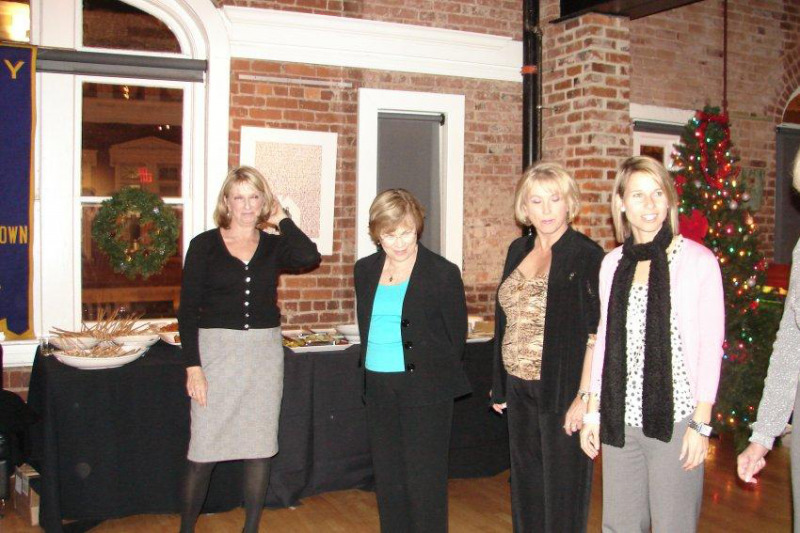 Our event consisted of a dinner, live and silent auction, raffle, and live music. 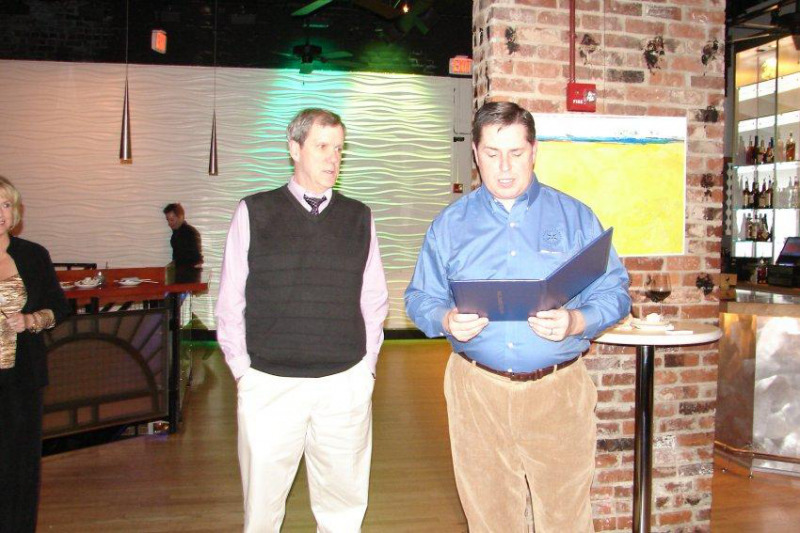 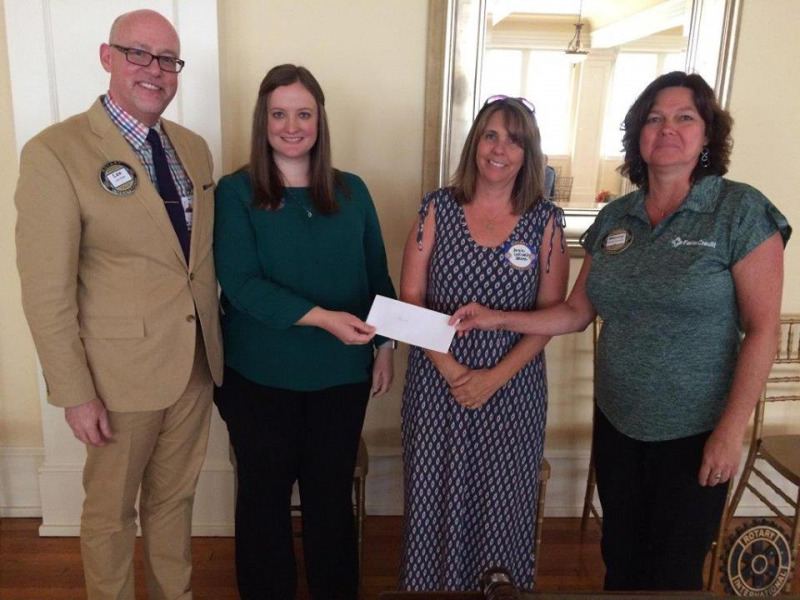 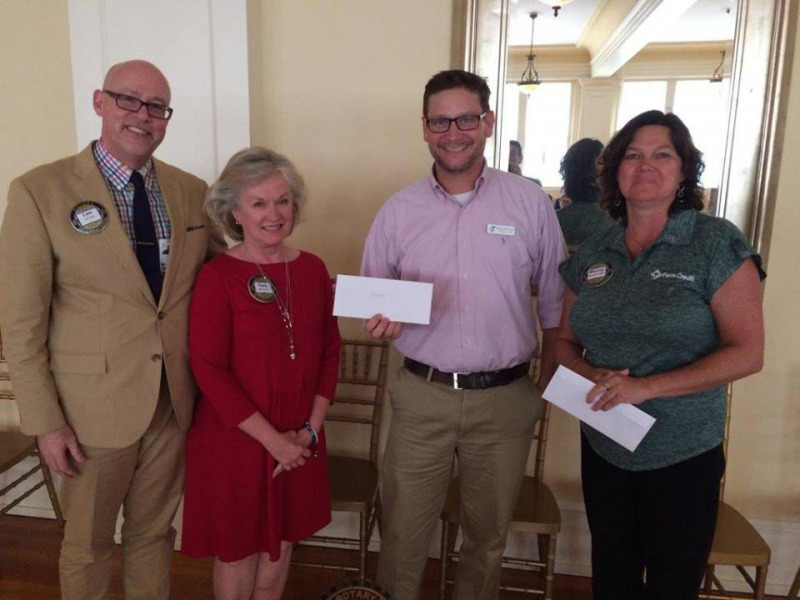 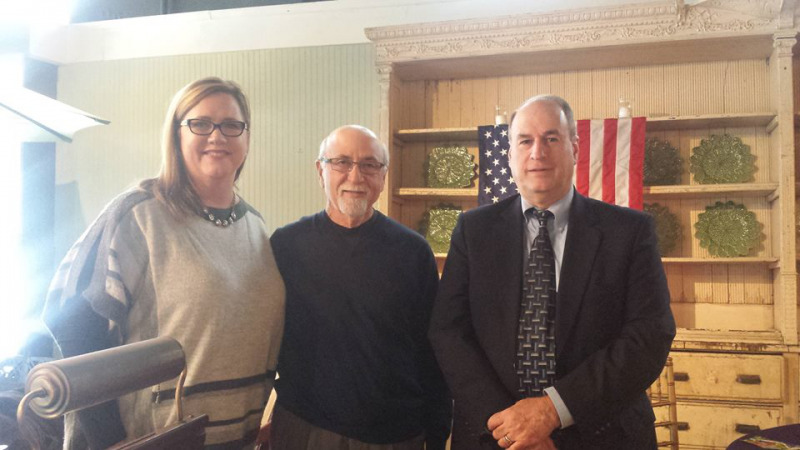 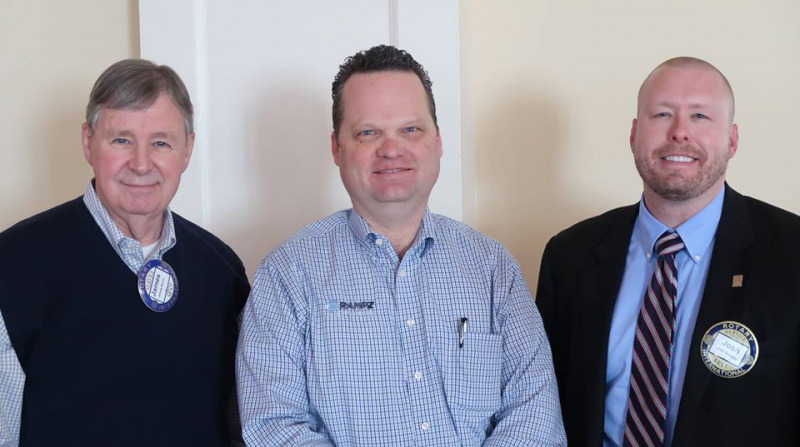 Our event raised $9500 for each our three benefactors: West End Center, YMCA, and BRAAC. 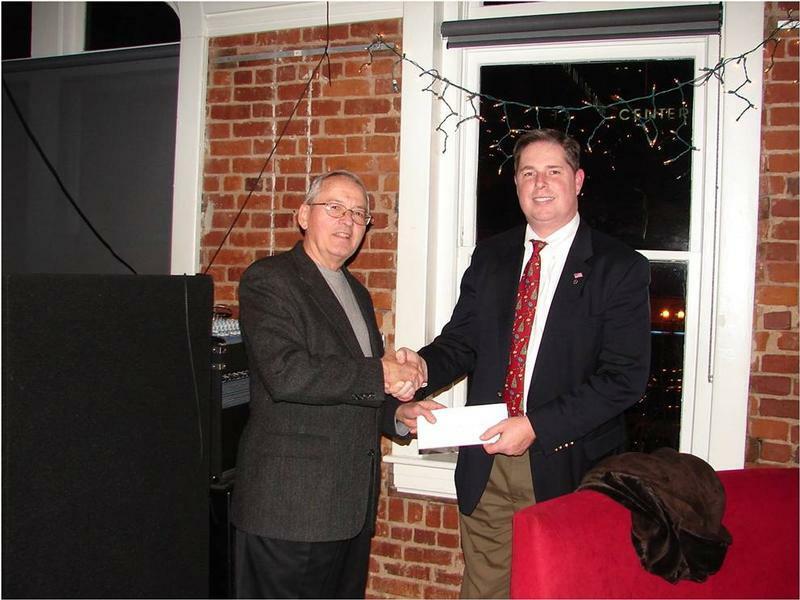 We also provided a $2000 scholarship to the Al Pollard Culinary Arts program at Virginia Western. 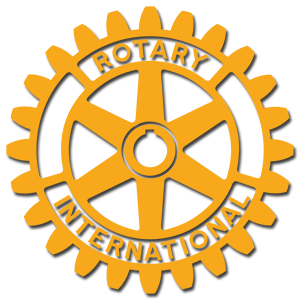 To learn more, see our press release in our documents. 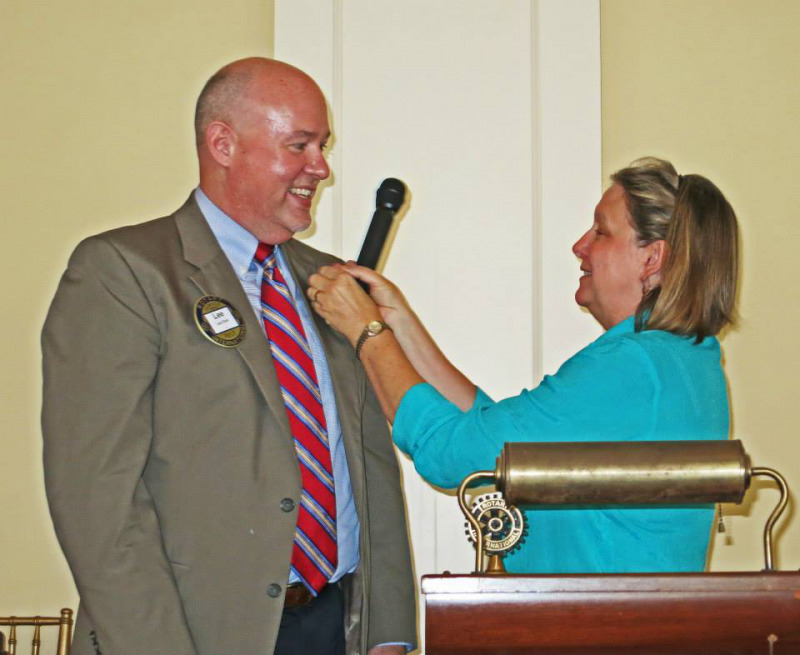 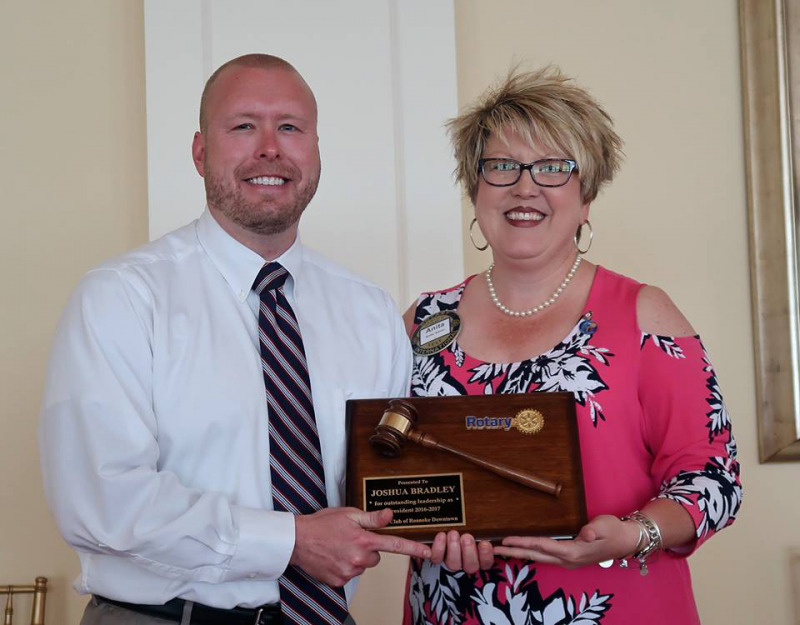 Our club's success is due to our membership and the members who have been willing to provide their leadership. 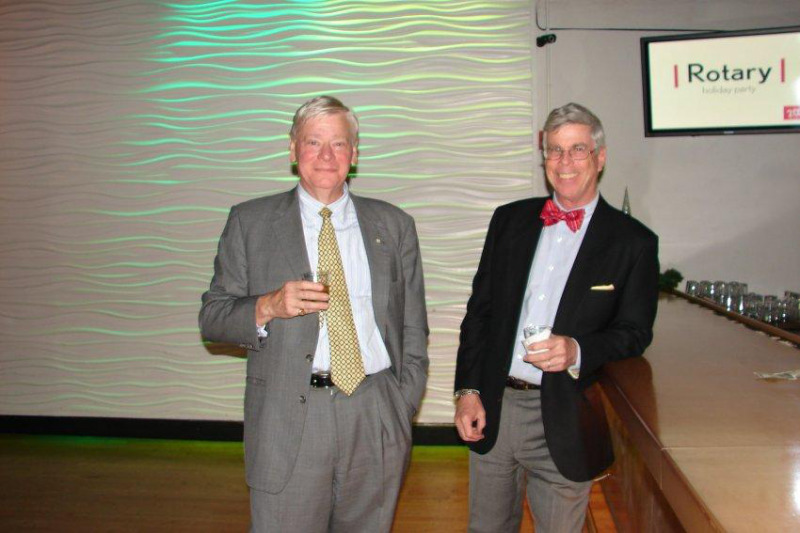 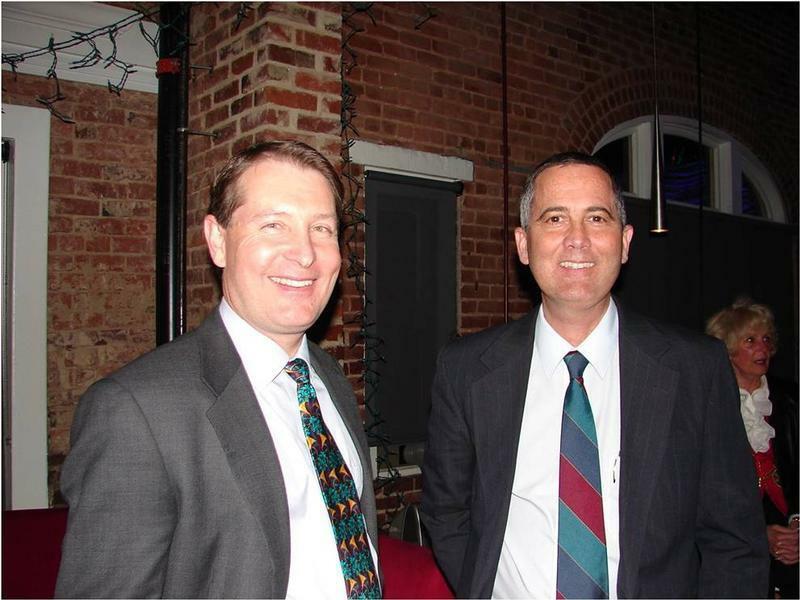 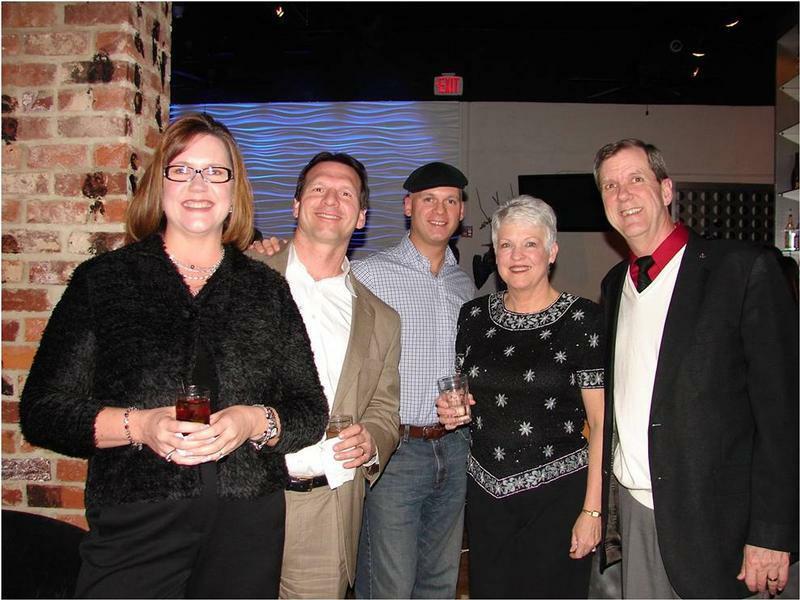 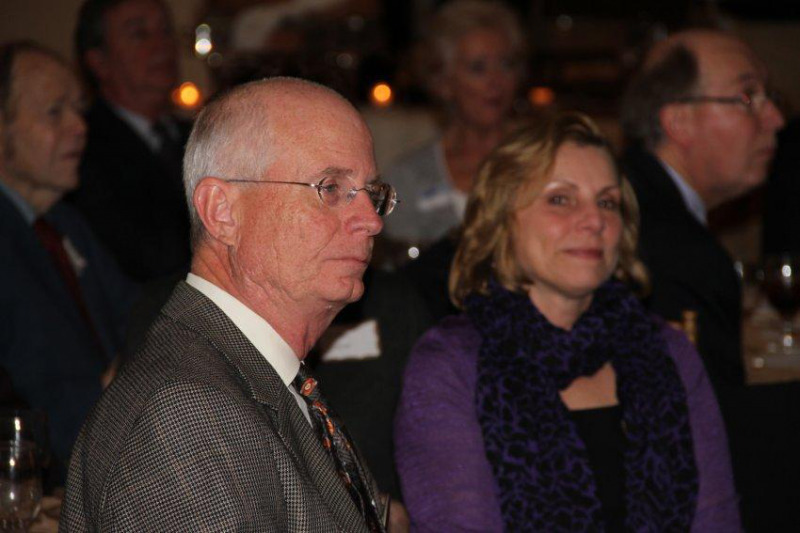 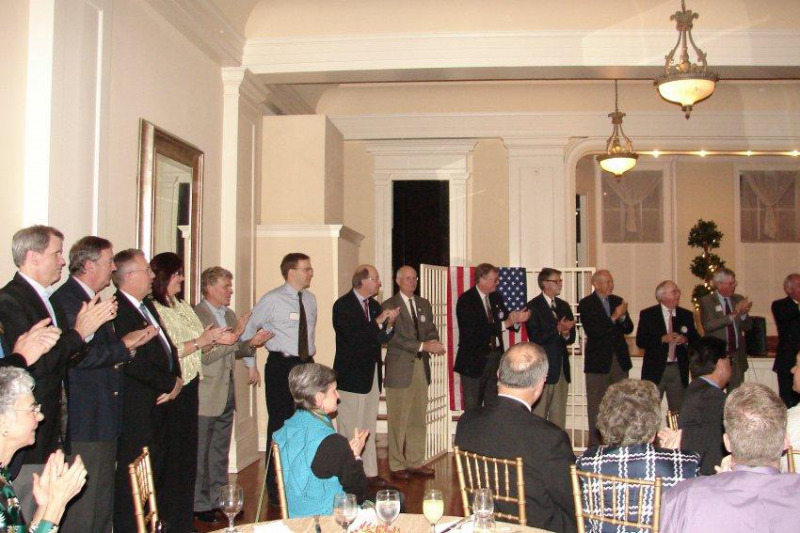 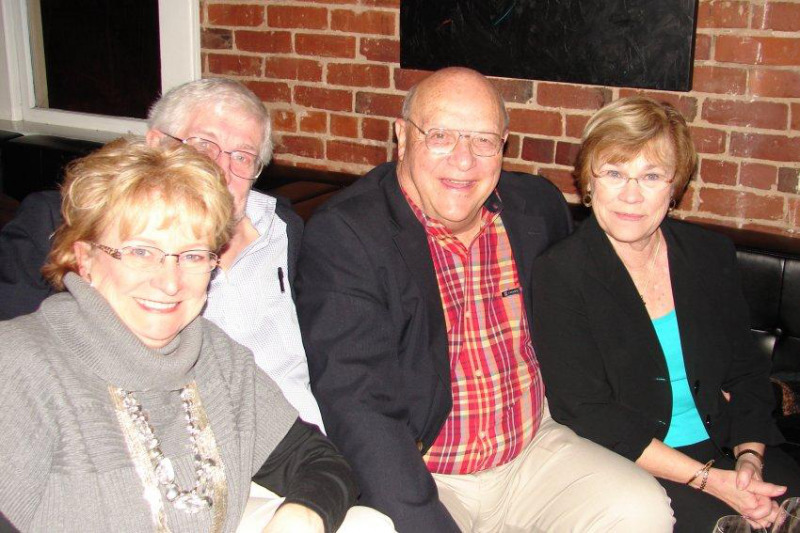 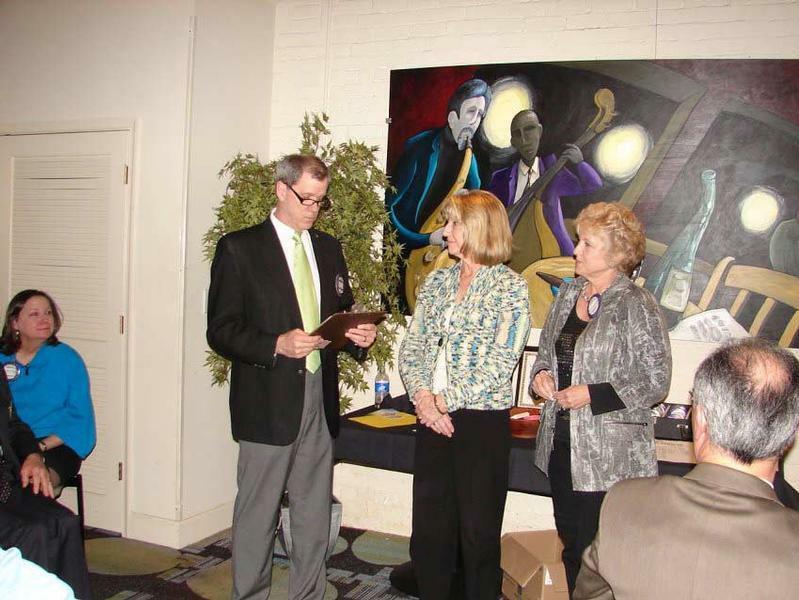 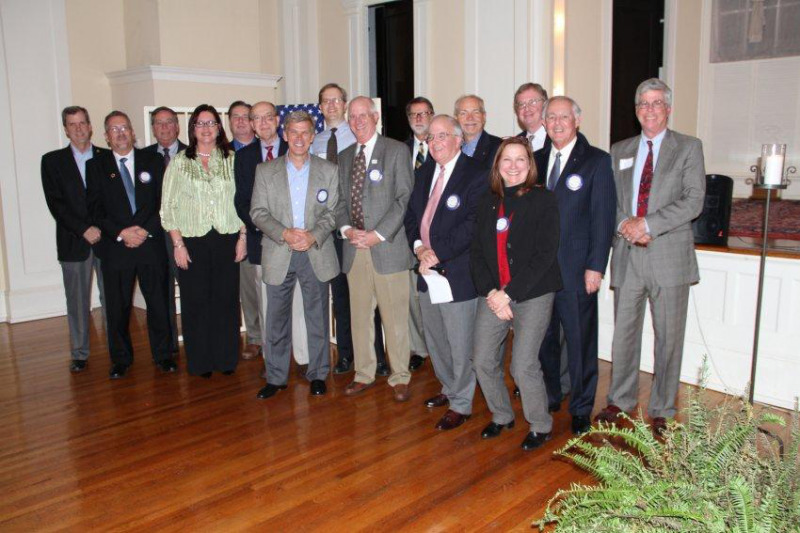 Our club celebrated our 25th anniversary in grand fashion on the evening of November 2, 2011 at the Fairfax Room in downtown. 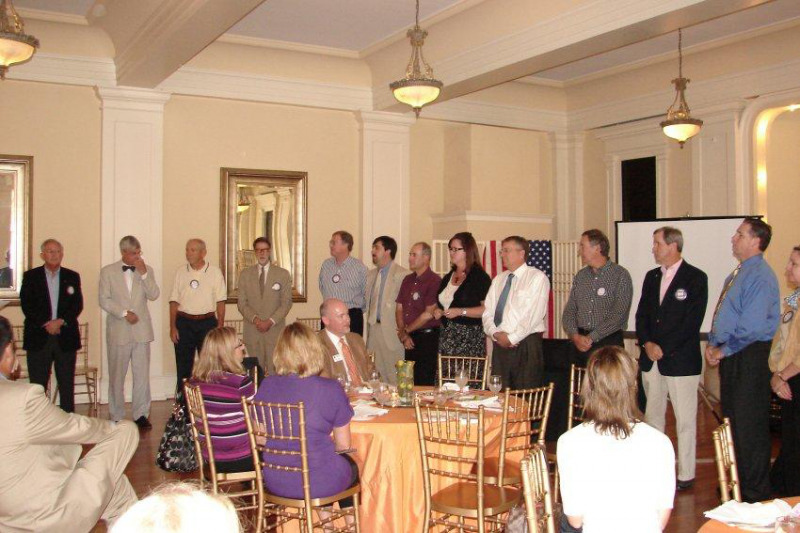 A regular meeting started our event with many guests in attendance. 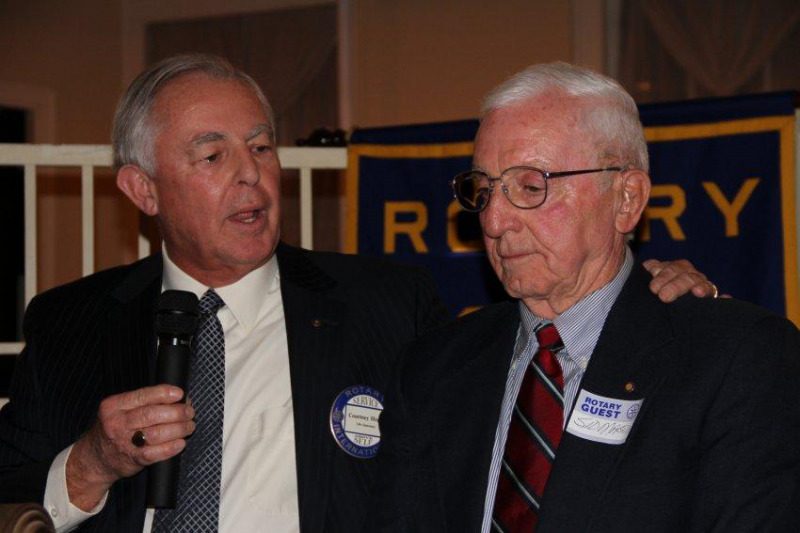 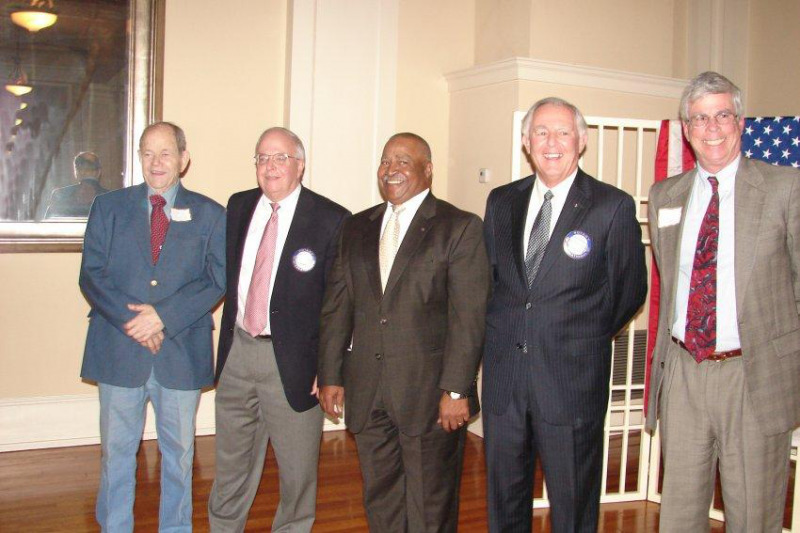 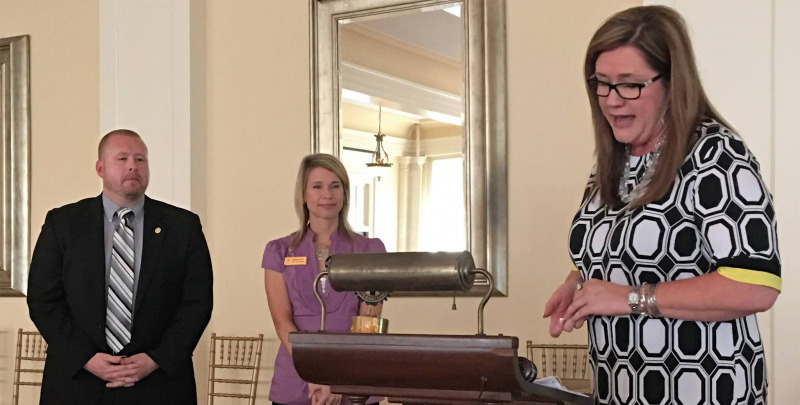 In attendance were 17 of 25 past presidents as well as five charter members, three of whom are still very active. 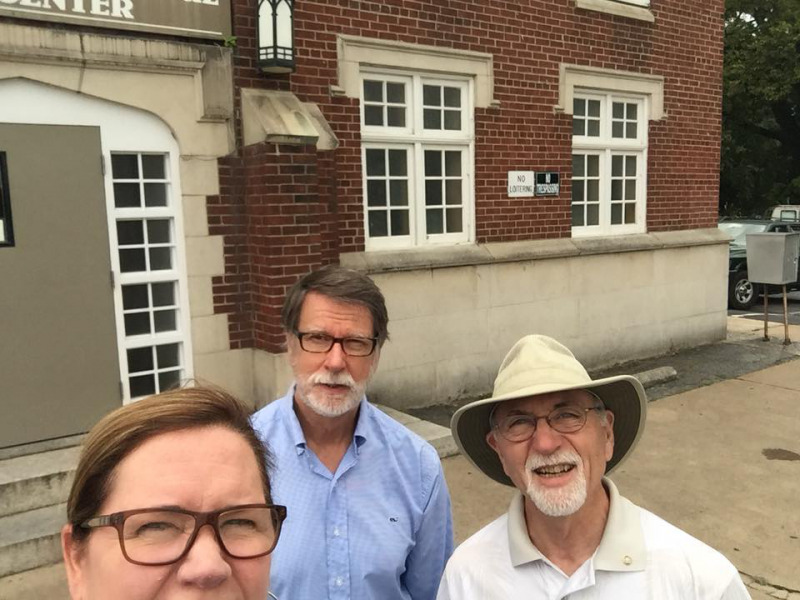 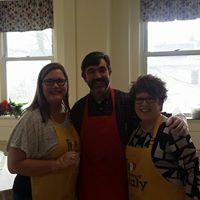 Thanks to Courtney Hoge, Al McLean and Charlie Logan for heading up this event and to Charlie for providing the liquid refreshments. 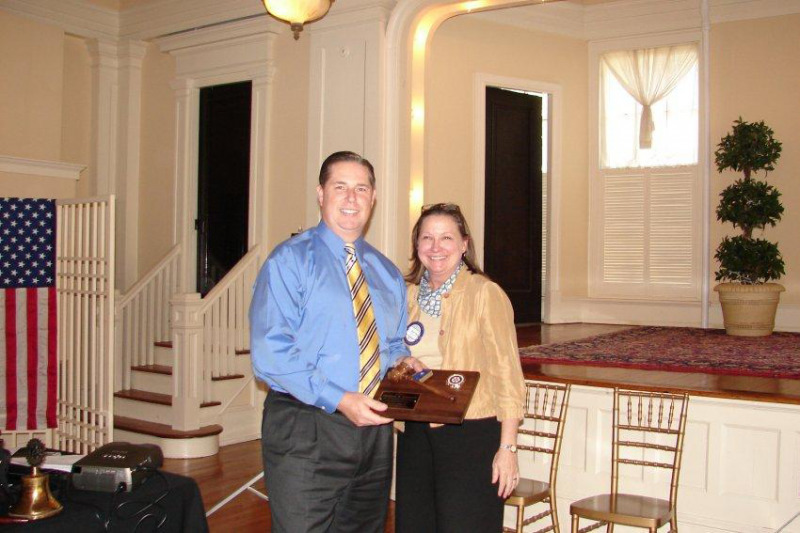 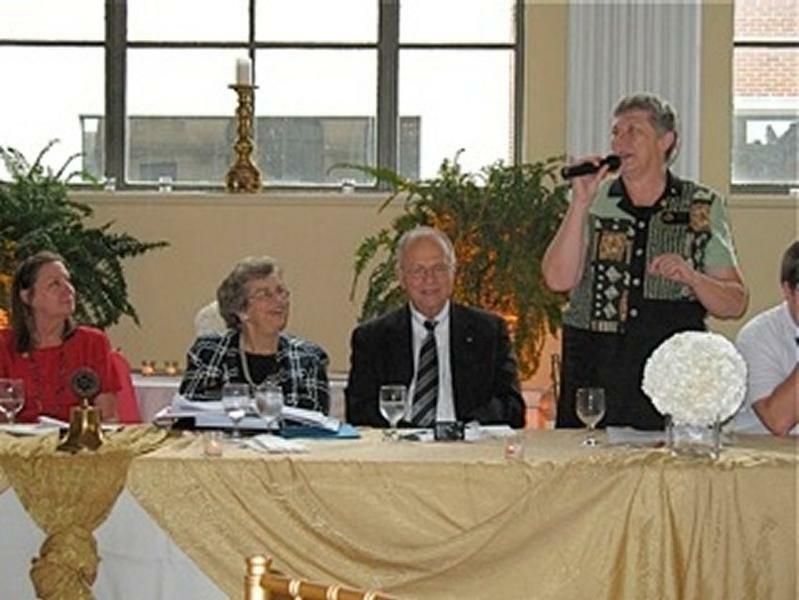 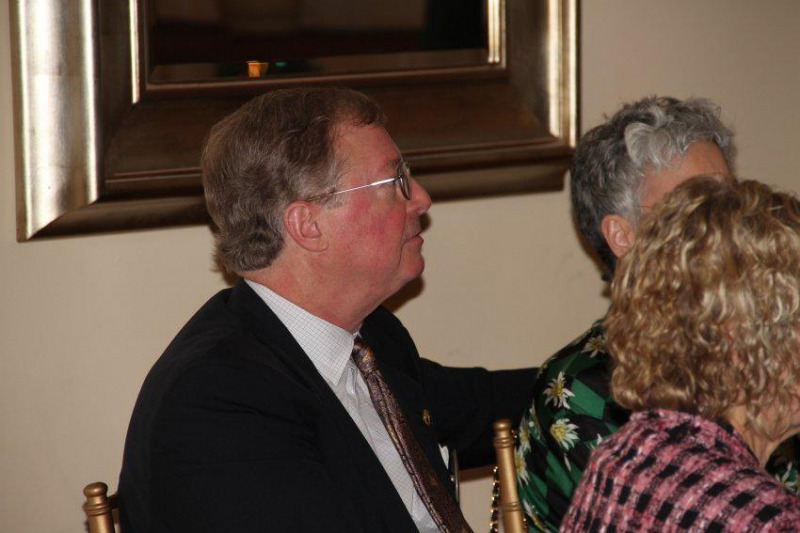 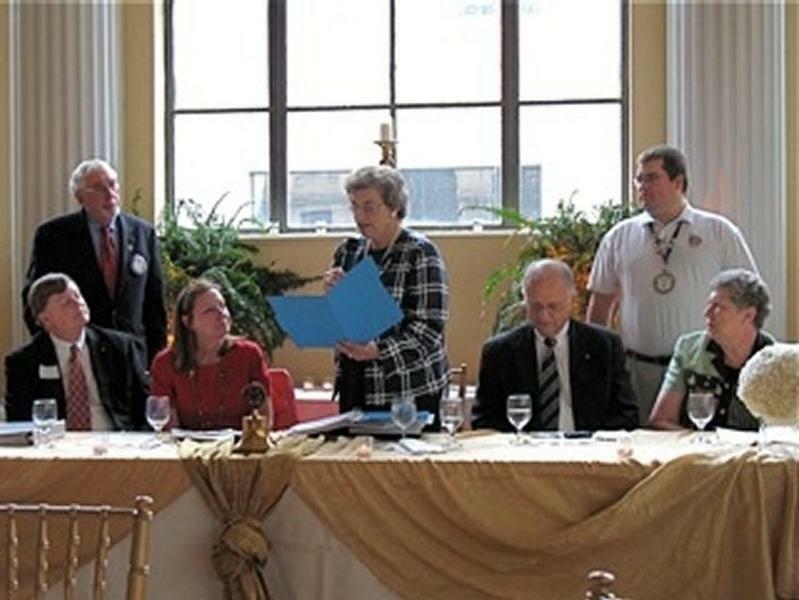 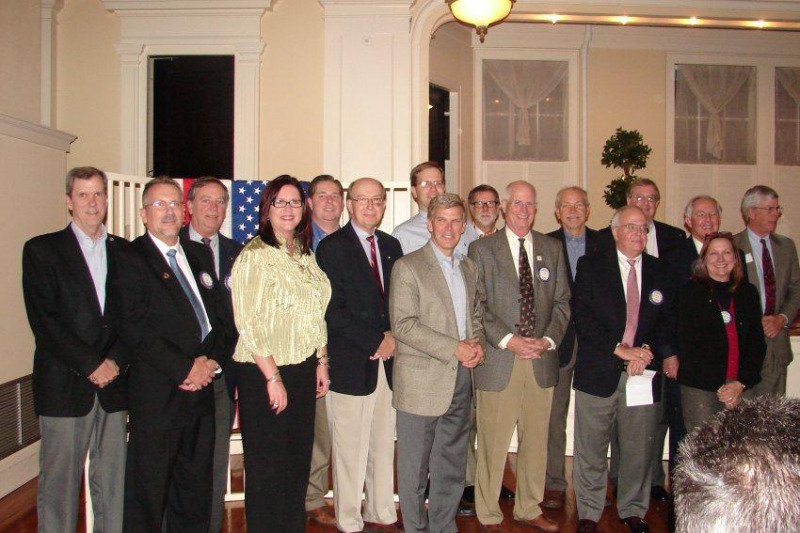 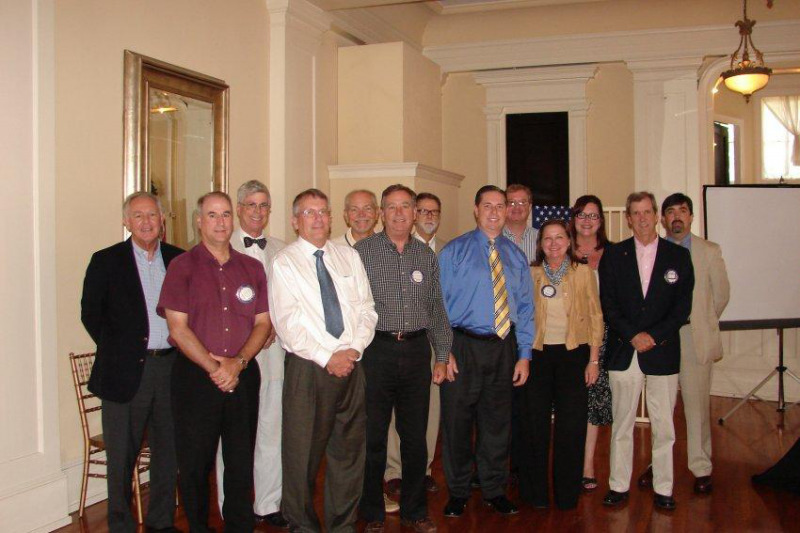 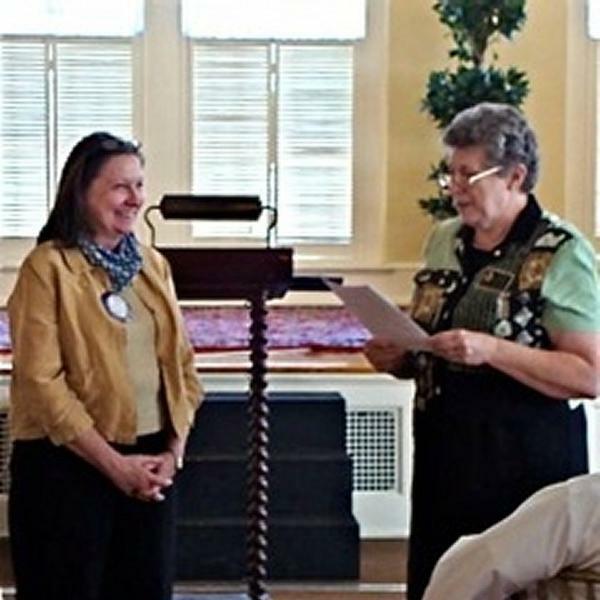 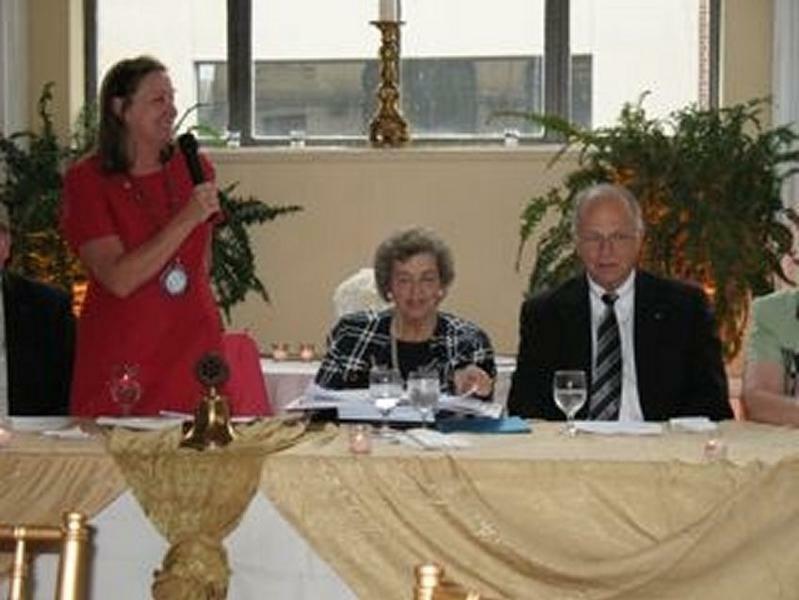 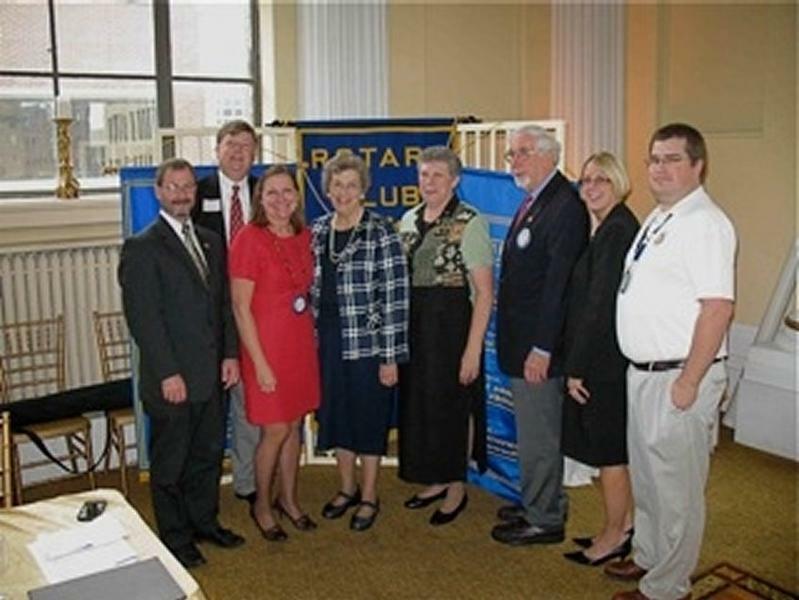 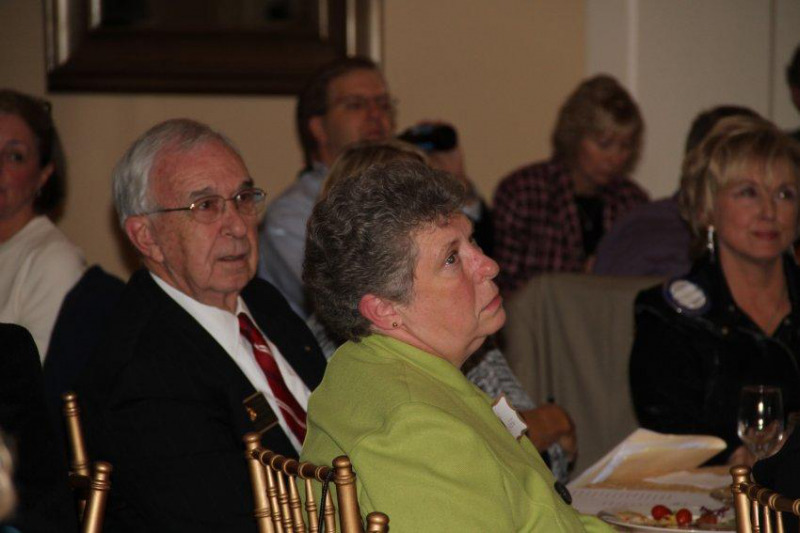 District Governor Janet Johnson, held her area meeting and visit at our club on September 21, 2011. 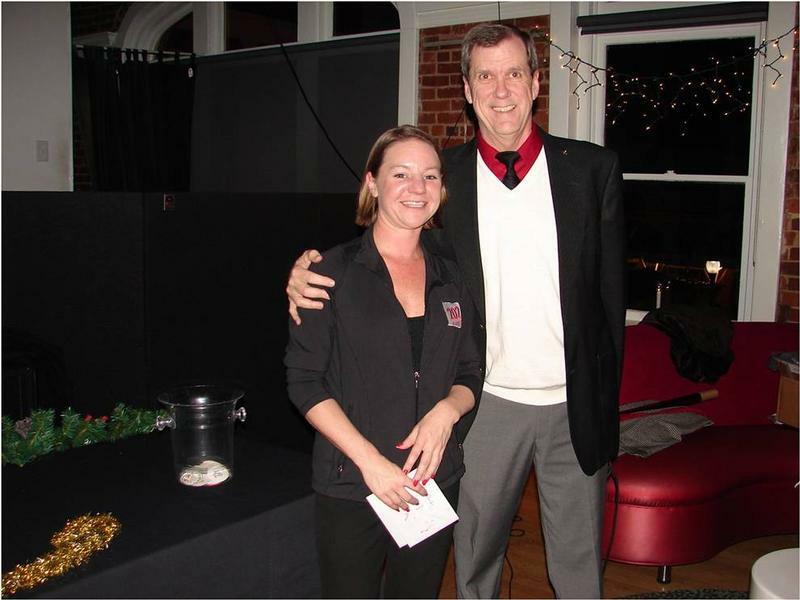 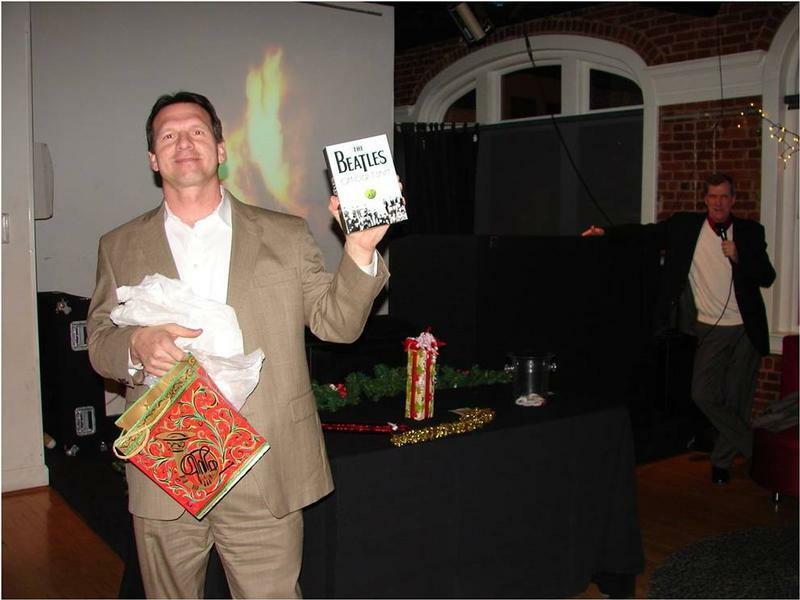 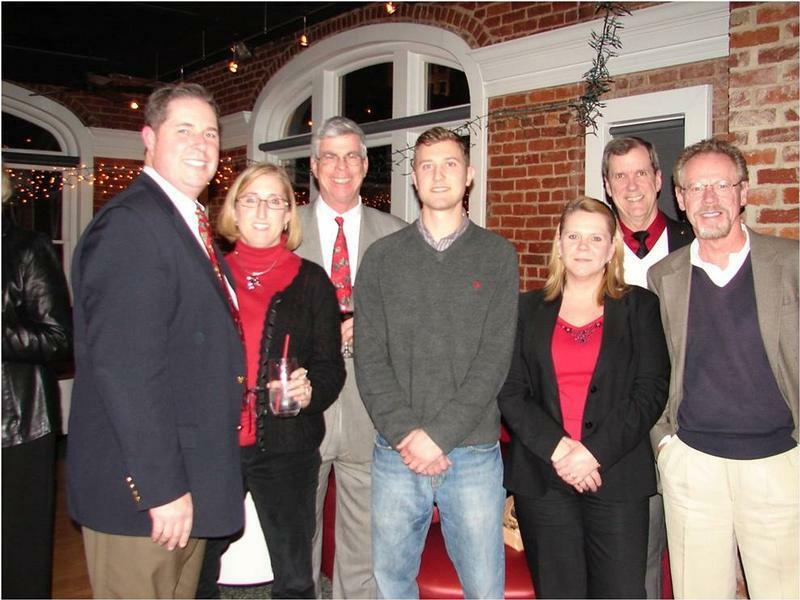 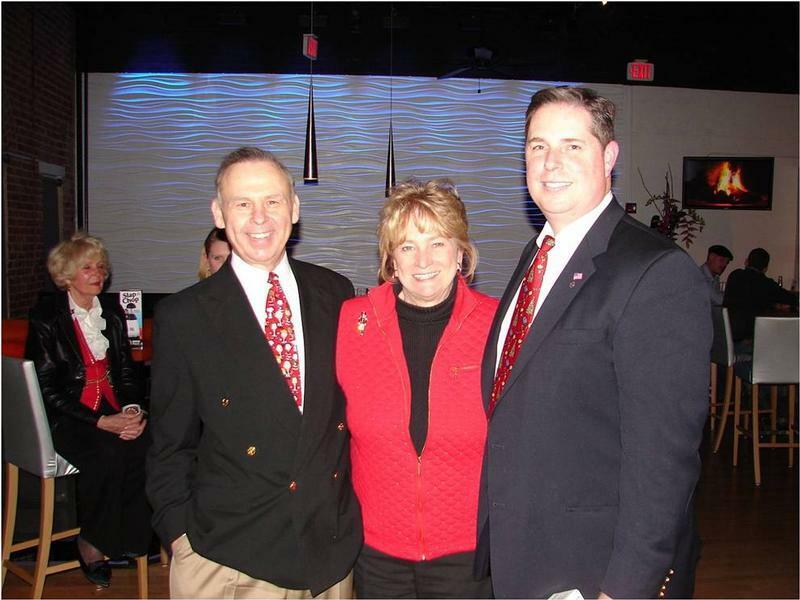 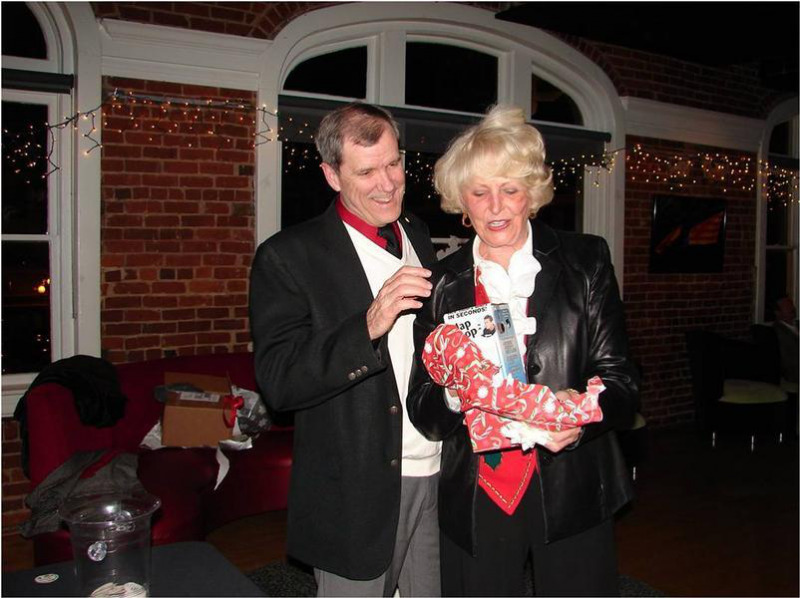 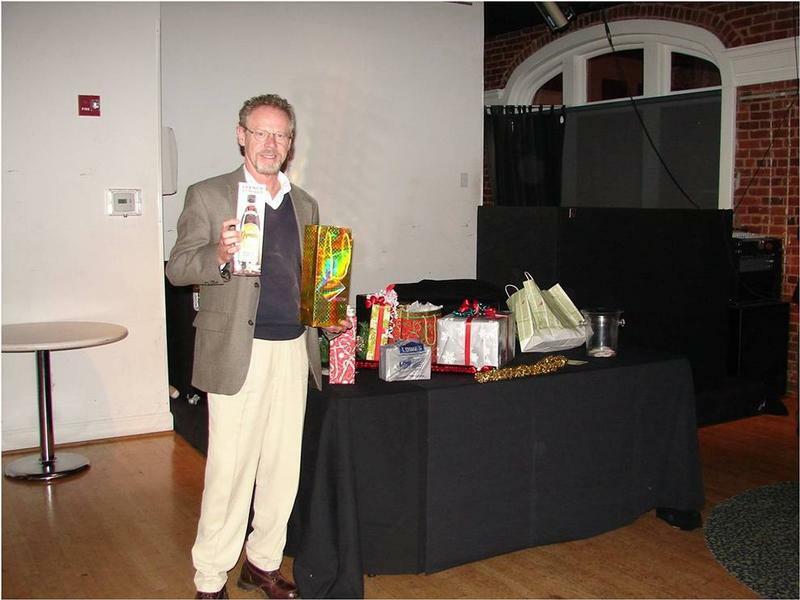 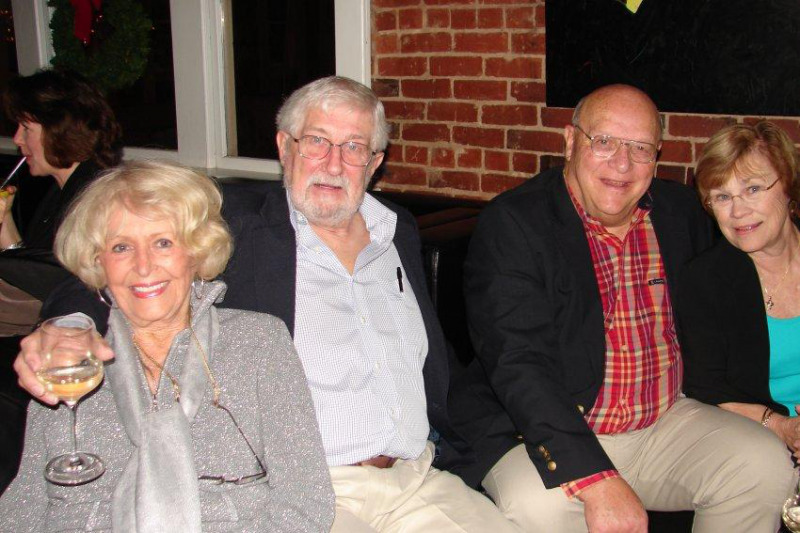 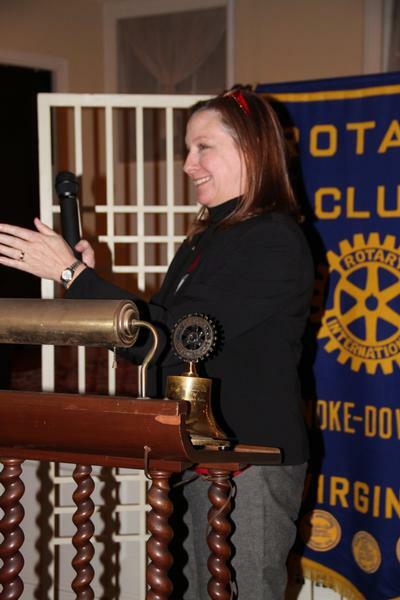 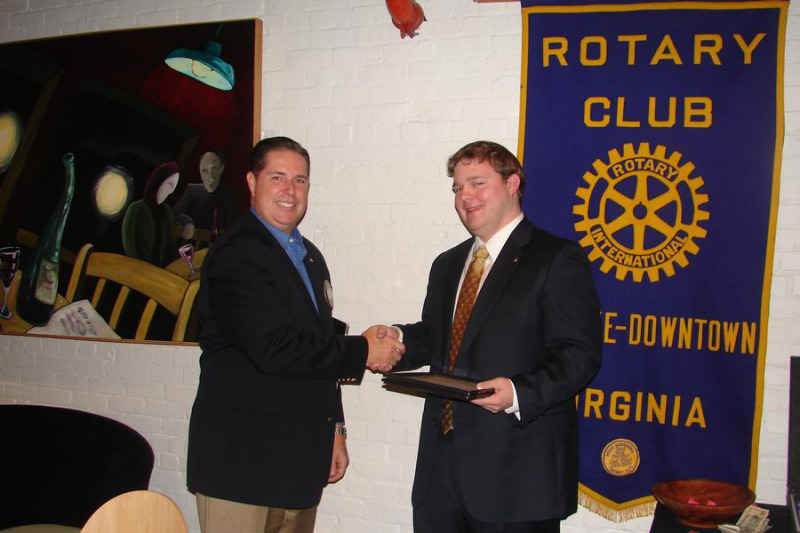 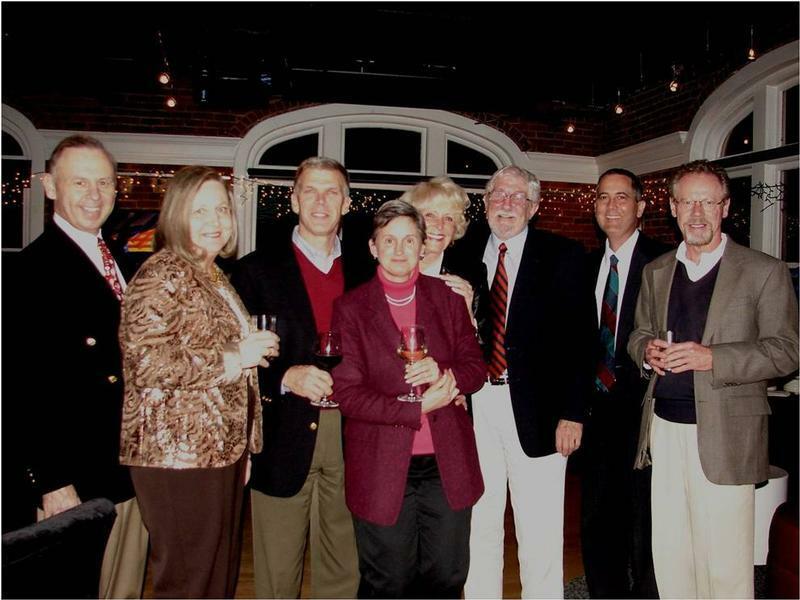 Our Rotarian Christmas Party 2009 was held at 202 Market Restaurant and included a "Naughty Santa" exchange. 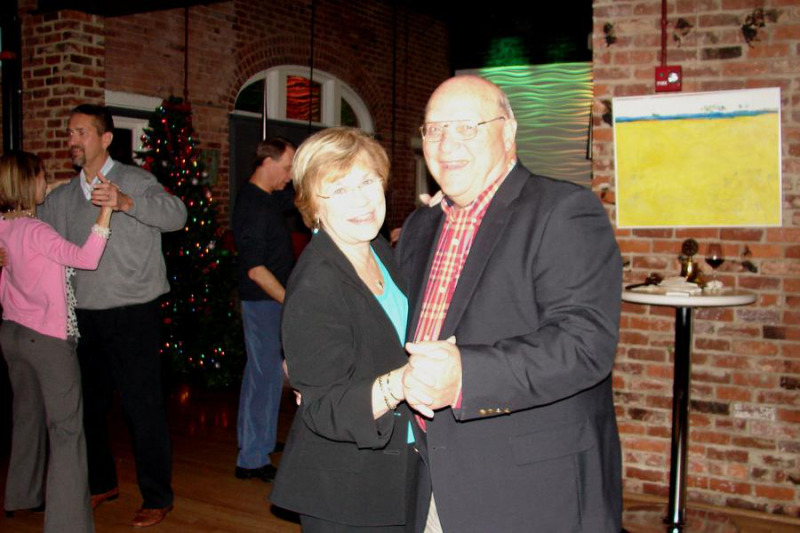 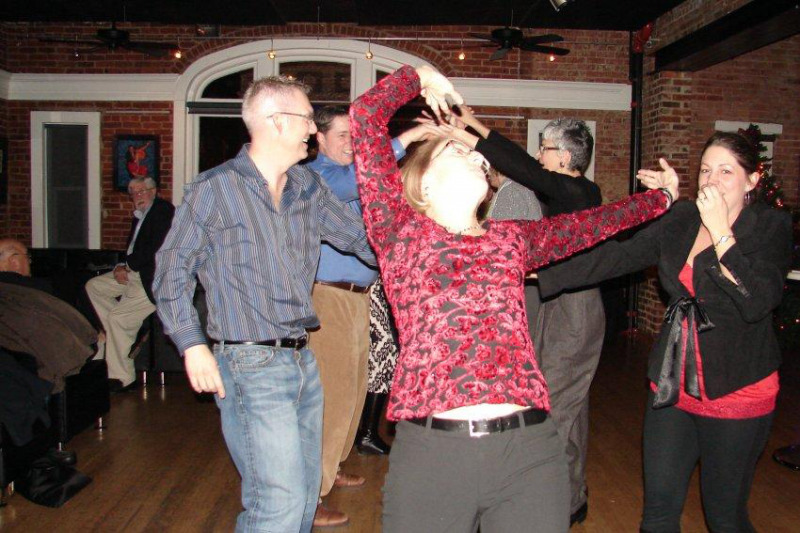 Our 2010 Christmas party was full of fun dancing, food, and fellowship. 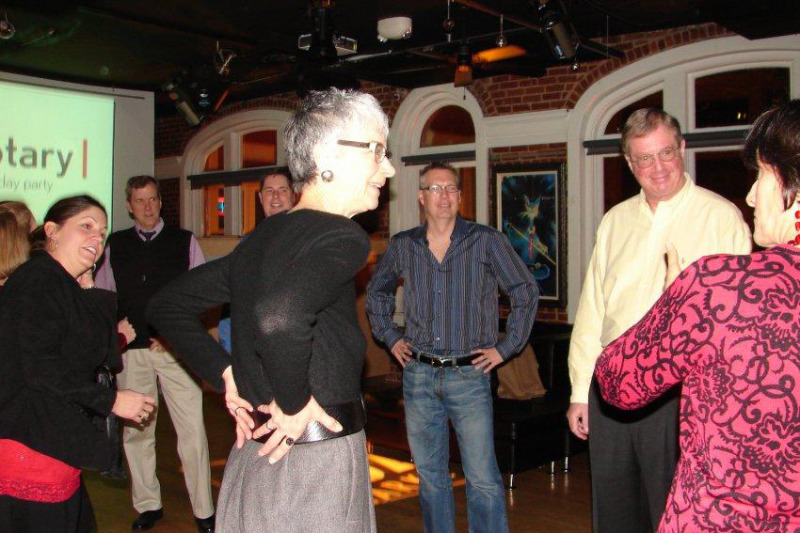 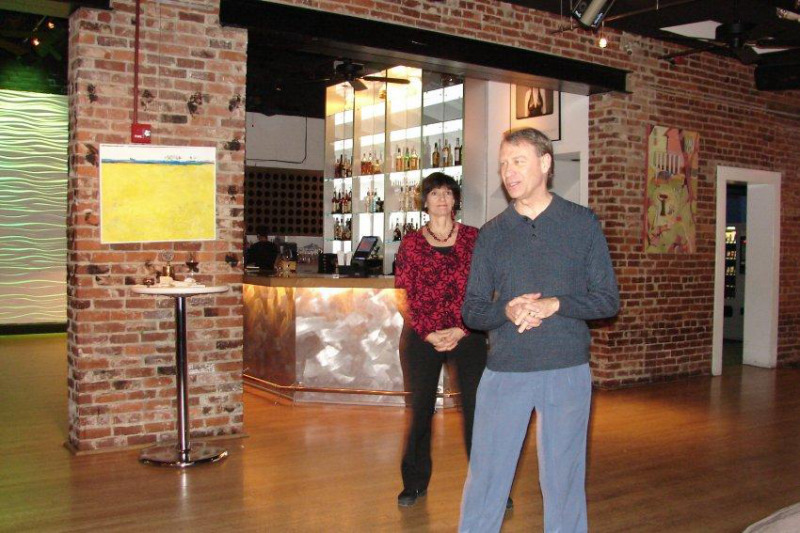 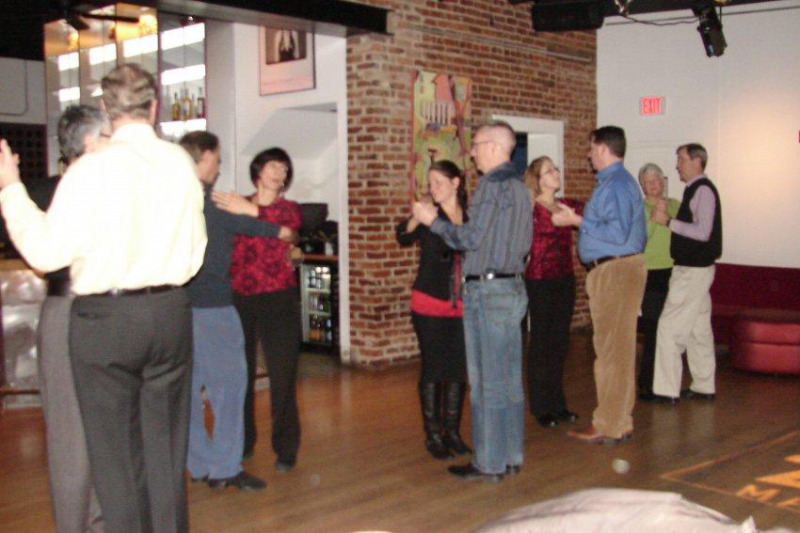 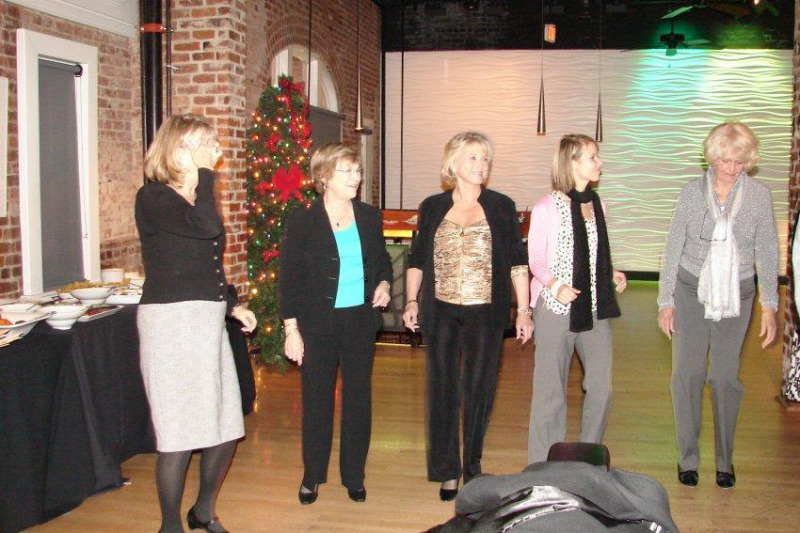 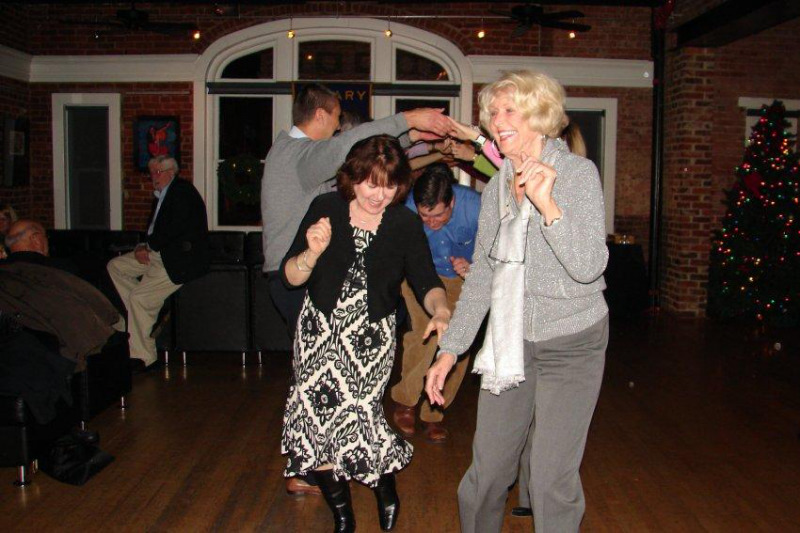 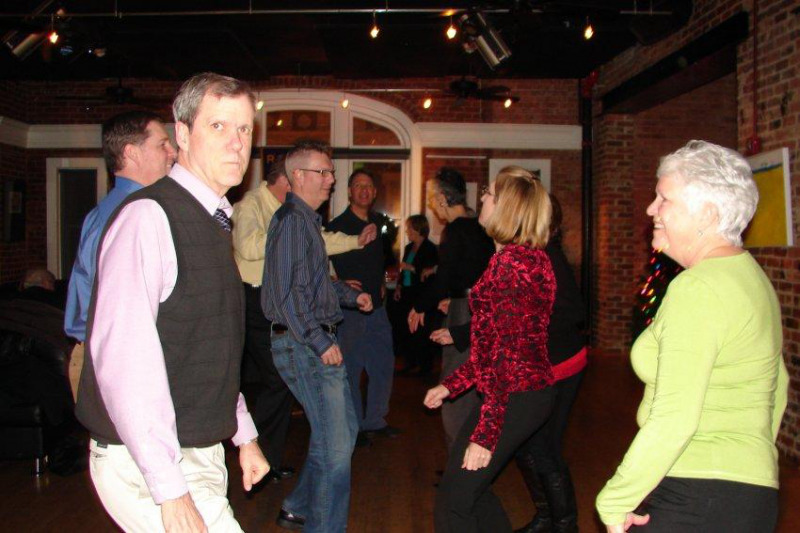 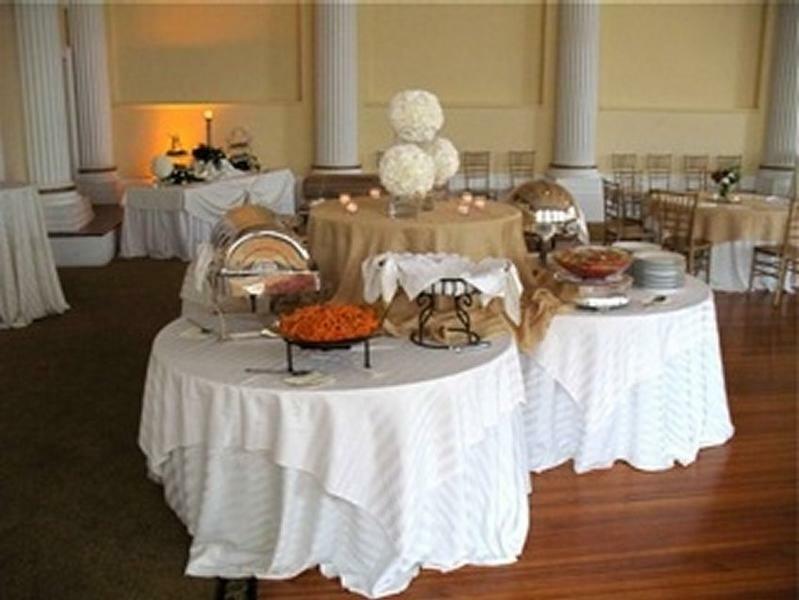 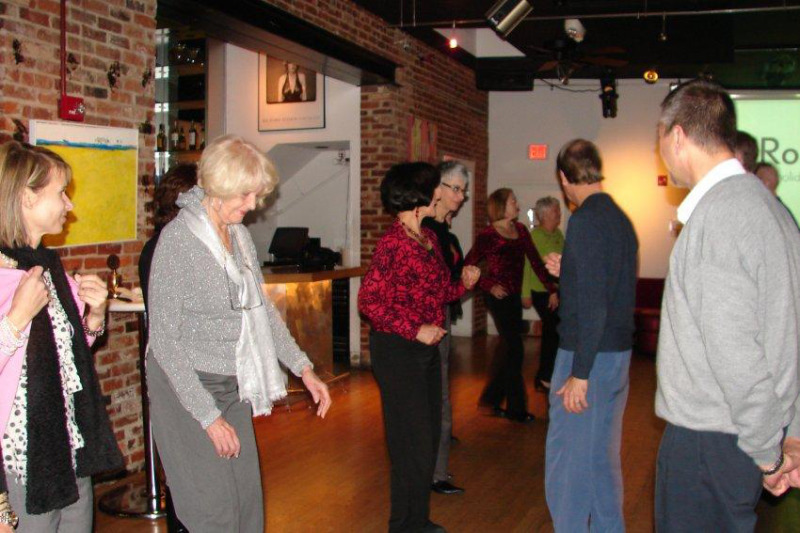 The party was held at 202 Market Restaurant, and "the Dancing Duo" provided us with lessons and entertainment. 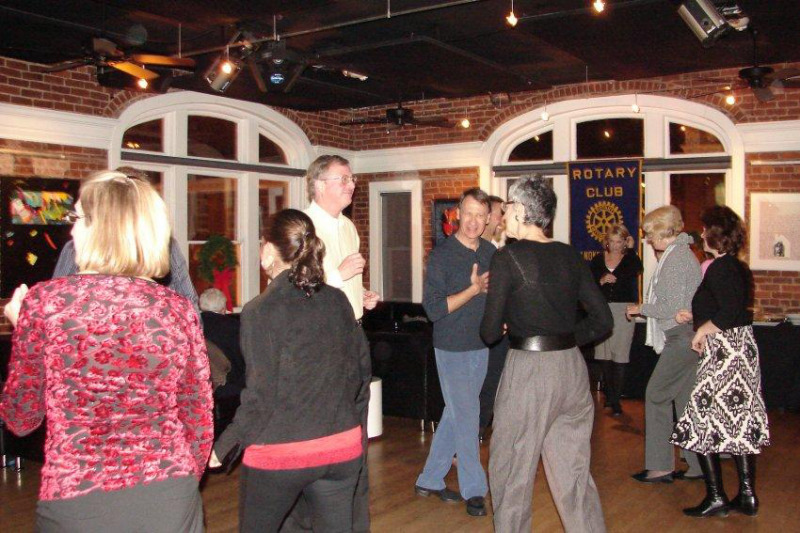 See how the Rotarians rock!